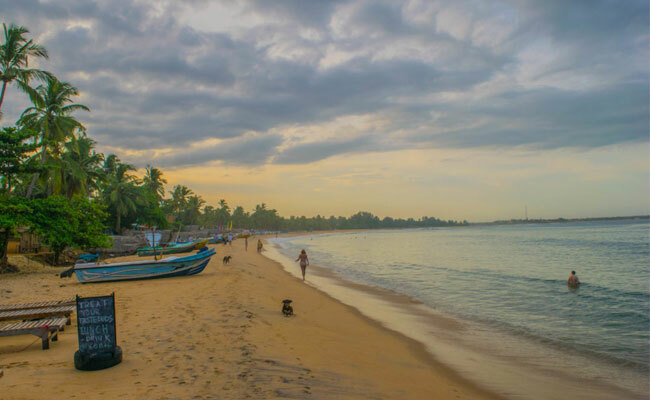 You will be received by our chauffeur at the arrival lounge of Colombo Airport and transfer you to Negombo, 20 minutes drive approximately. 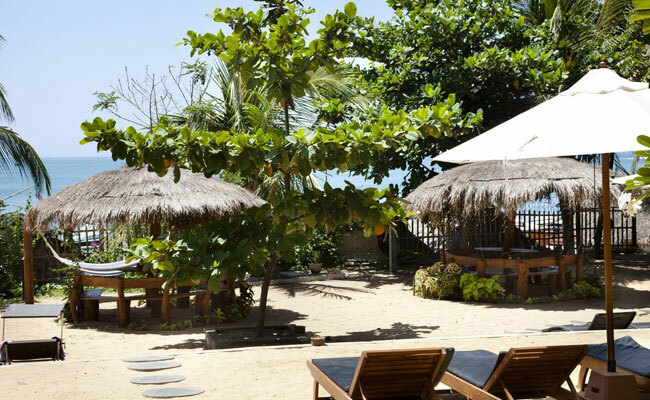 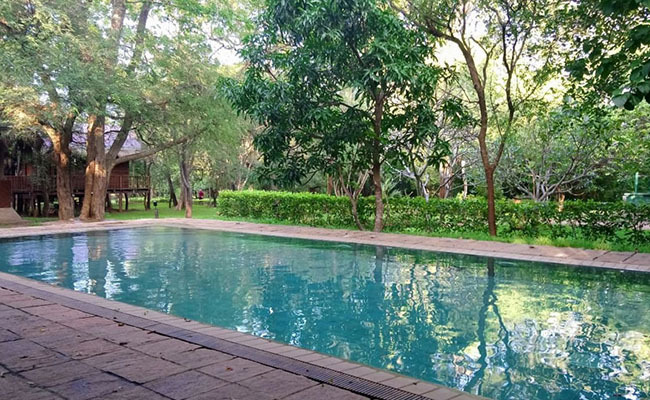 In the afternoon chill out by the pool and relax before you start the ultimate adventure of Sri Lanka. 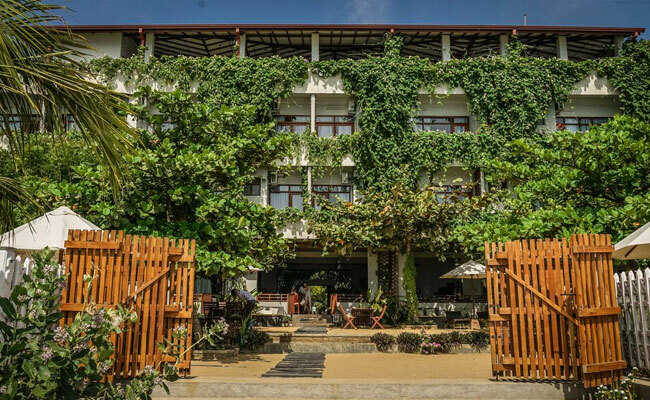 Overnight stay at Goldi Sands Hotel Negombo. 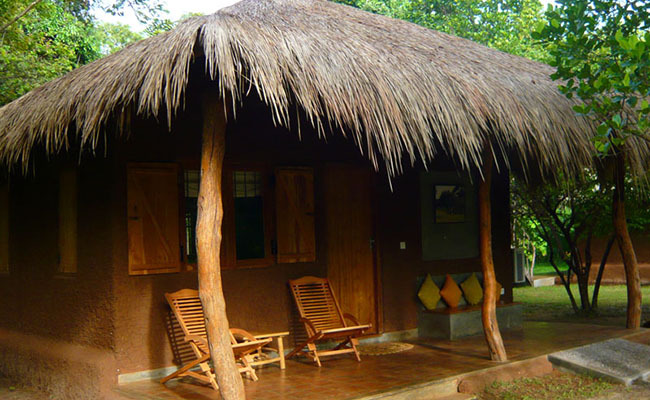 Check in to rural Farm Lodge, deep inside the rural setting bordering Yala and Lunugamwehera National Parks is a 10 acre farming land owned and operated by an passionate villager who grows vegetables and offer rustic yet comfortable accommodation in eco wattle and daub native style mud houses. 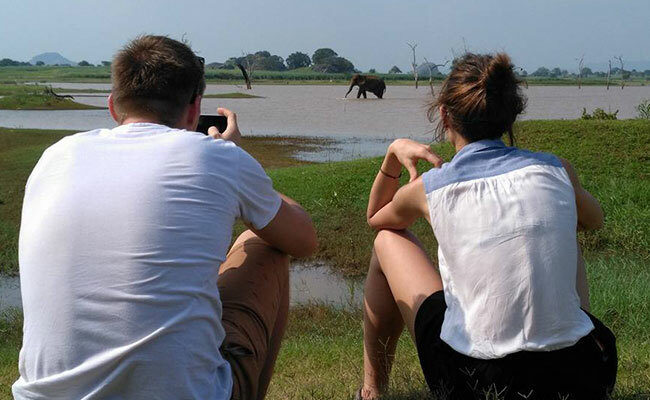 The Farm House is situated in an Elephant Crossroad; this enables you to watch wild Elephants in their utmost natural habitats without going on a crowded safari. 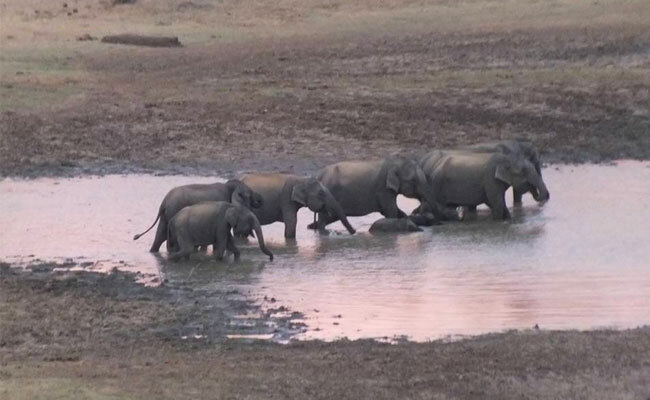 In the evening one could observe Elephants with the comfort of their bed in one of the mud houses. 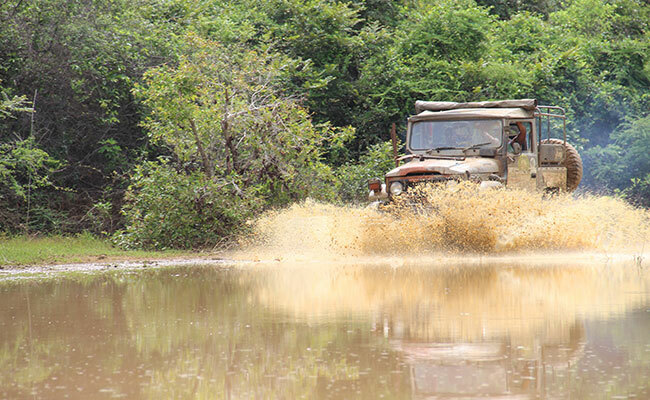 After a brief rest, the owner of the farm will take you for a safari in their backyard in his old Land Rover Jeep to a hidden spot with a large lake where you could see herds of wild Elephants. 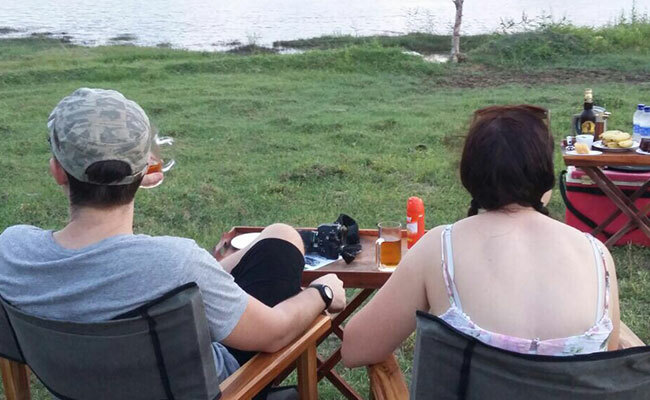 While you observe these magnificent giant creatures and enjoy their movements, you will be served with a sun downer on a rock cliff which has a panoramic view of the mountains and the lake below. 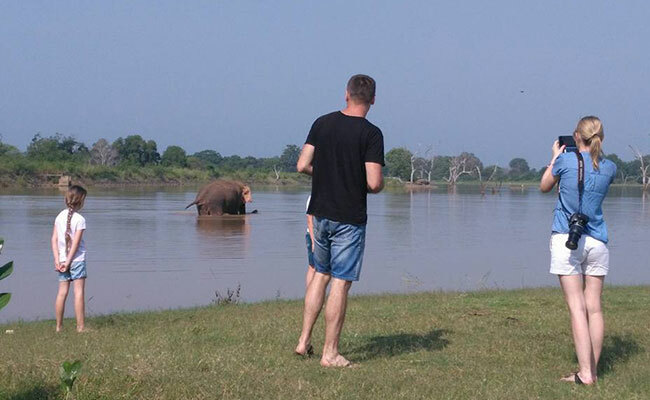 This is a private show of the wild Elephants. 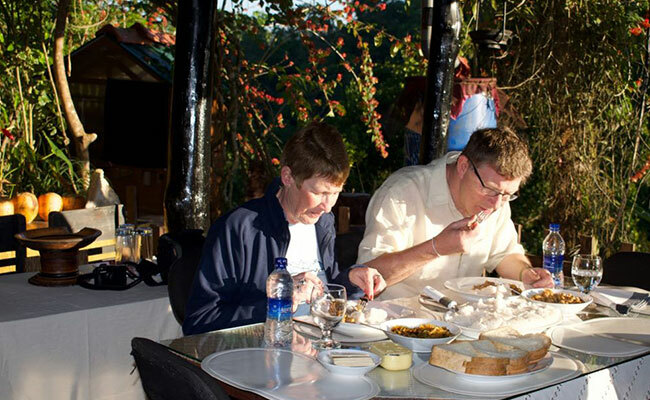 On return to the farm stay, freshen up and enjoy your dinner. 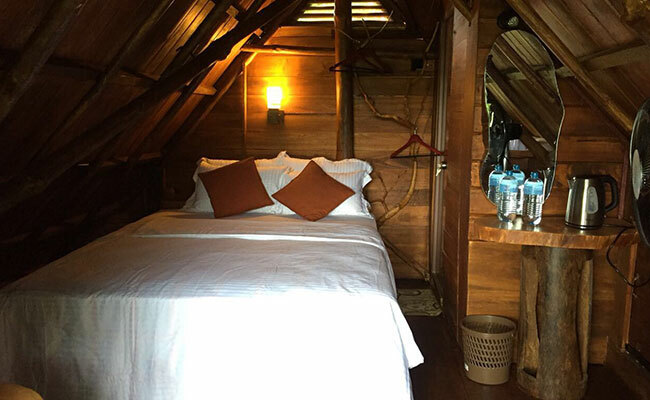 Overnight stay at Rural Farm Lodge. 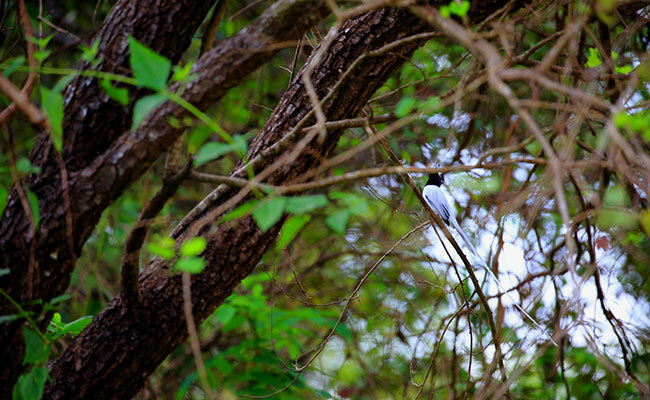 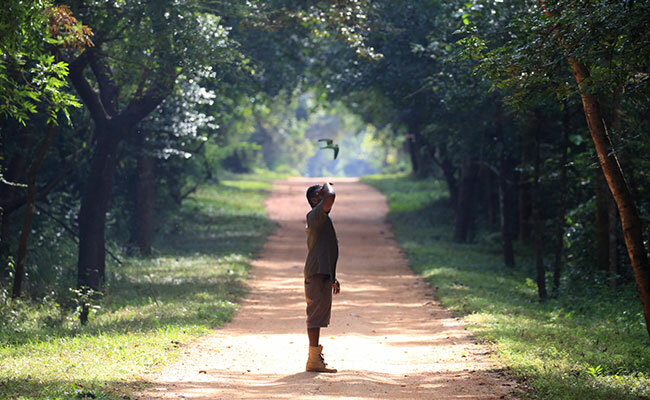 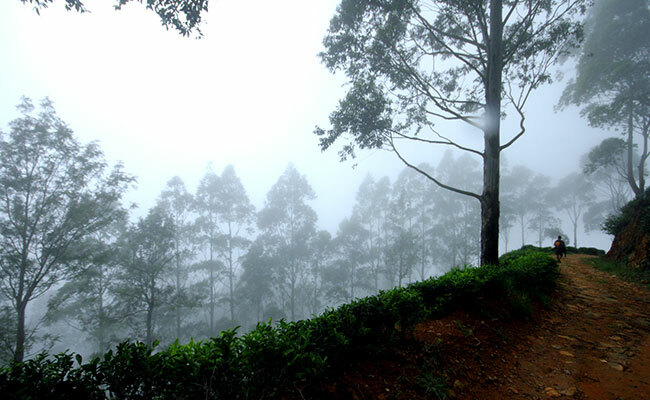 Early morning wake up for sunrise and see the birds near the lake in the farm stay while sipping a cup of Ceylon Tea. 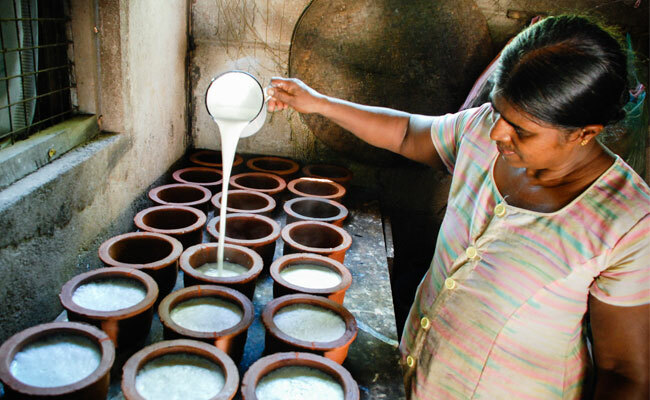 Learn the process of making Sri Lankan delicacy of Curd, made out of Buffalo milk with the passionate team at the farm stay. 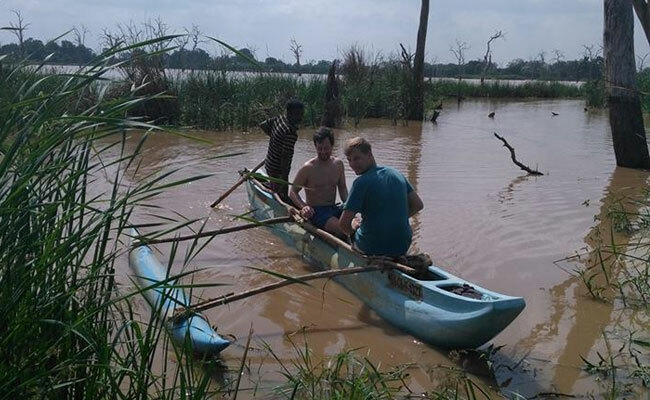 After a brief rest, go for Canoeing in a traditional catamaran in the lake at the farm stay and do fishing in traditional Sri Lankan style. 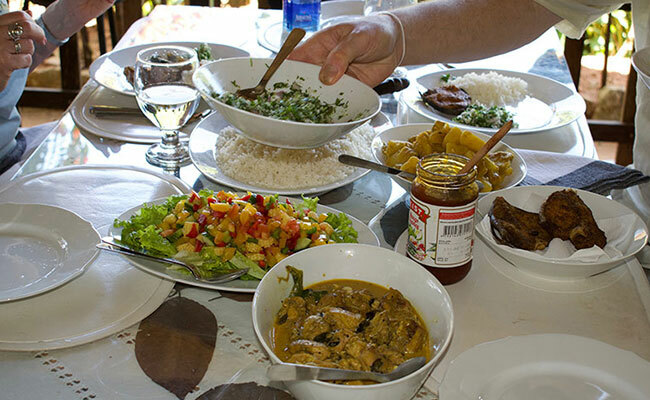 Learn to cook a traditional farm meal which includes the fish you caught this morning and enjoy your lunch. 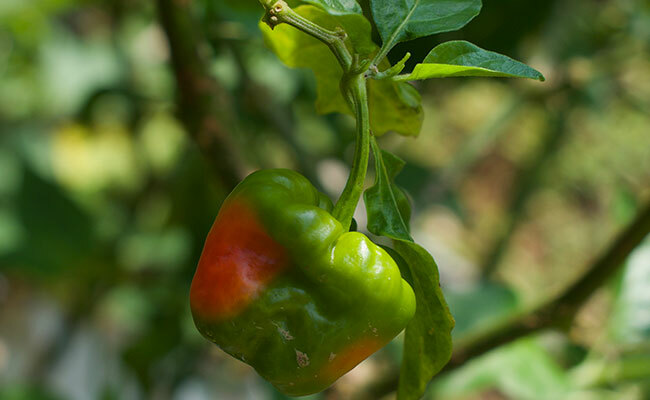 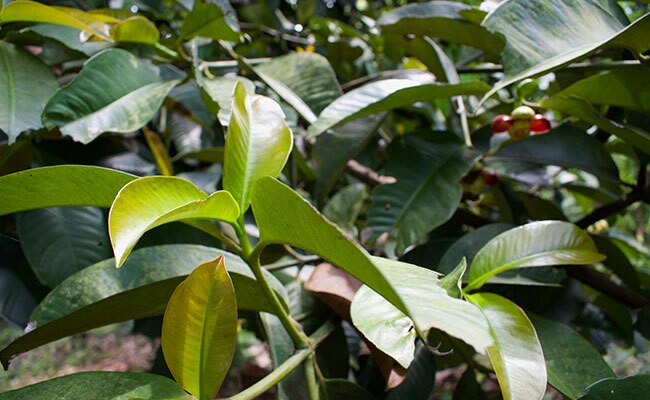 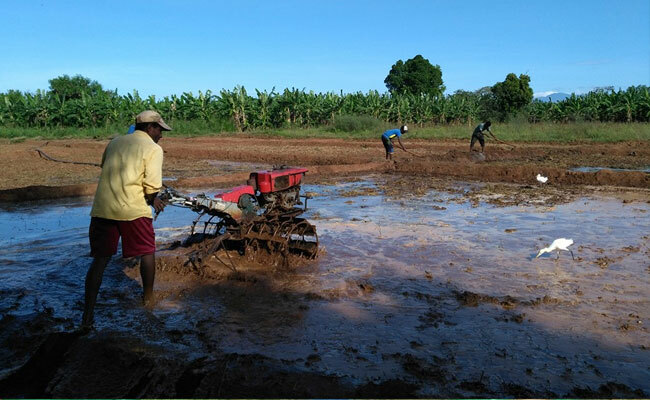 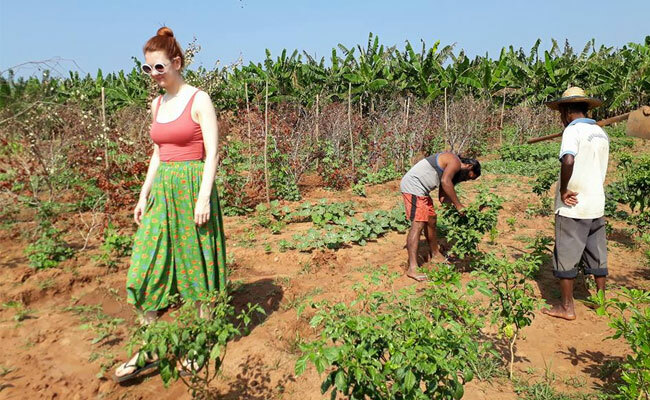 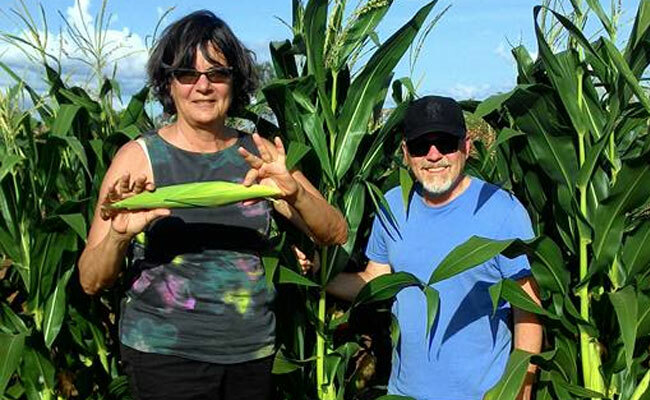 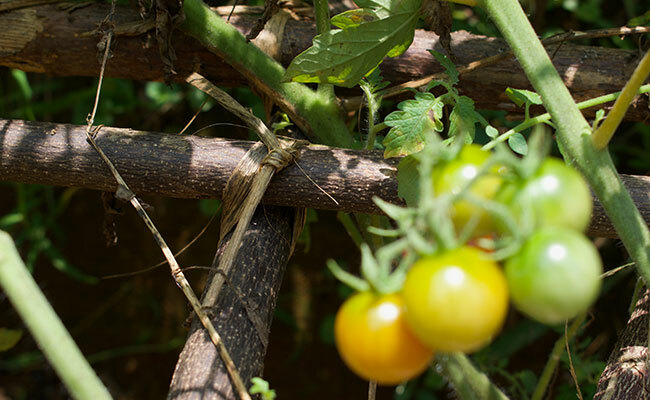 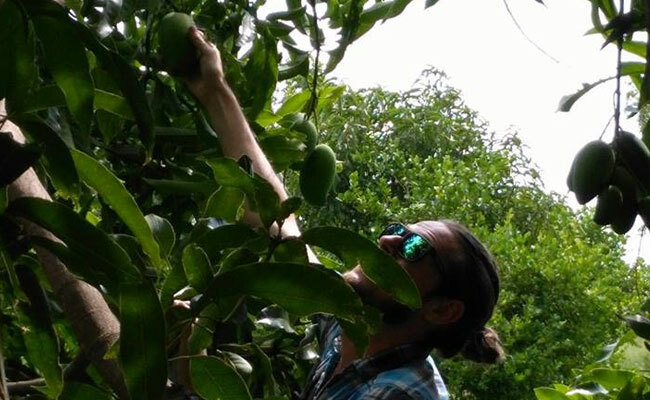 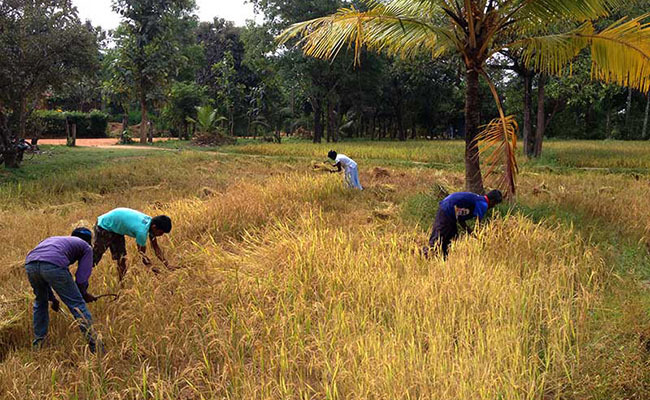 In the afternoon you either have a relaxing brief nap or take some guided walks in the farming field to see various farm grown vegetables and fruits. 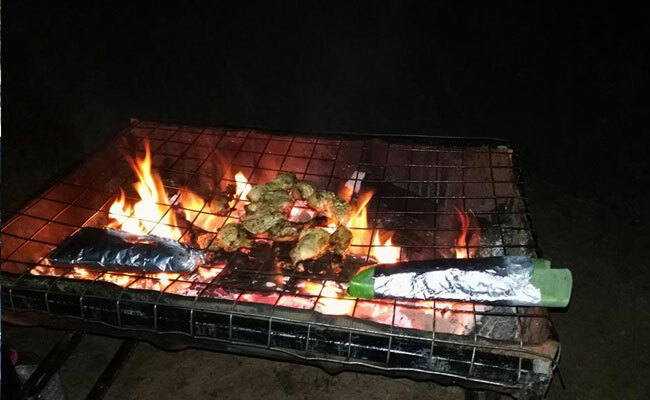 This is your last night at the farm stay; the team at the farm will organize an outdoor BBQ dinner amidst million stars. 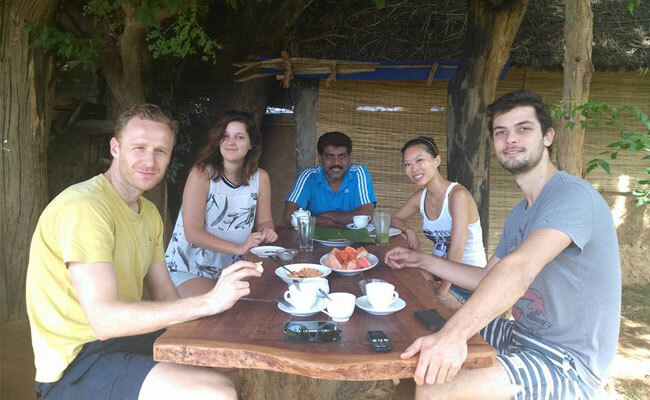 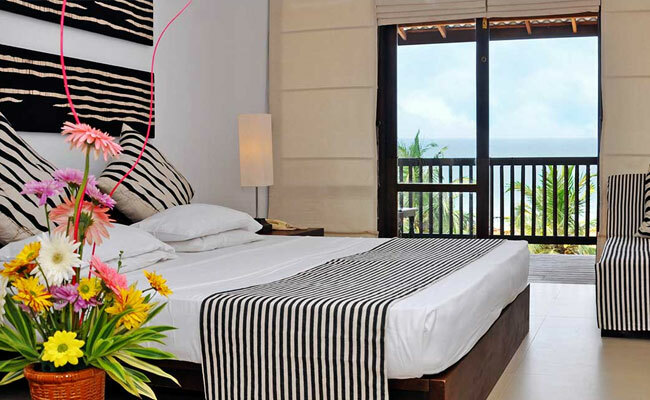 Transfer to Arugam Bay, approximately 3 ½ hours drive through remote country side. 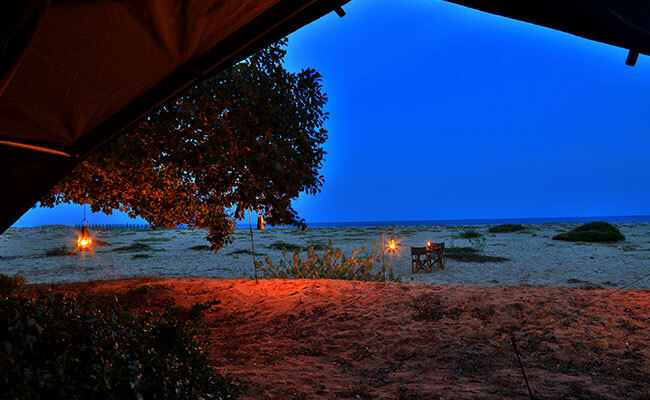 Full day safari in Kumana Natinal Park for wildlife and hidden cultural treasures - A passionate villager will pick from the hotel at 5 AM for the full day safari in Kumana National Park with all picnic meals and refreshments. 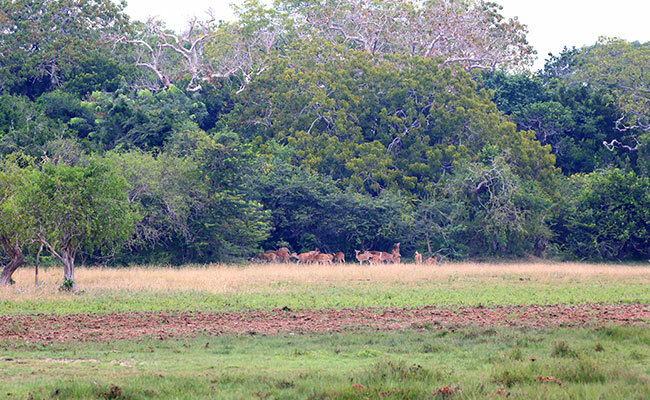 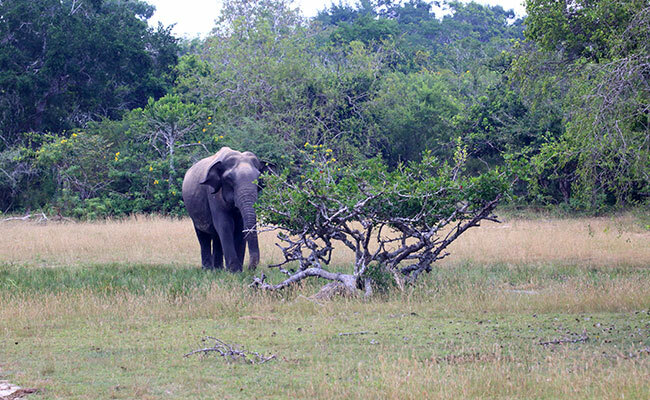 Kumana National park is the eastern side of popular Yala National Park. 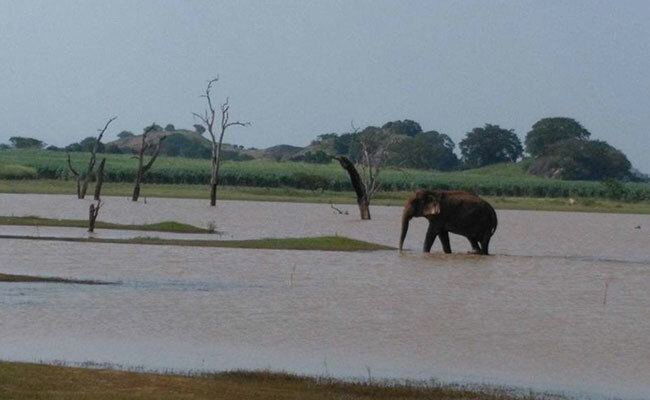 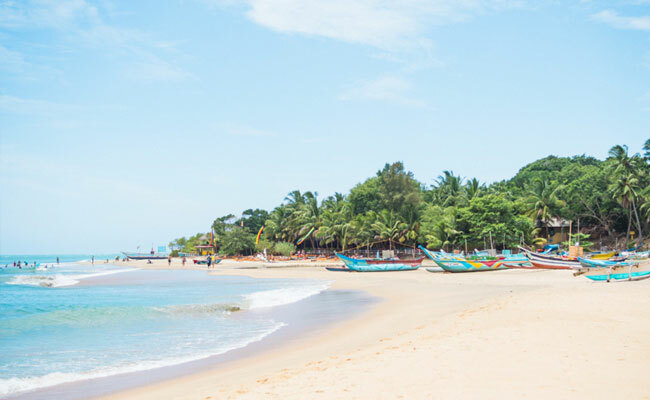 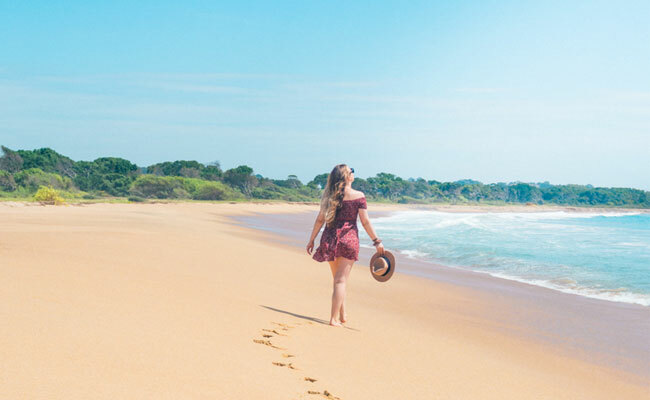 Kumana is undoubtedly one of most beautiful and wild National Park in Sri Lanka with abundance of wildlife such as Leopards, Elephants, rich birdlife, Crocodiles and sloth Bears. 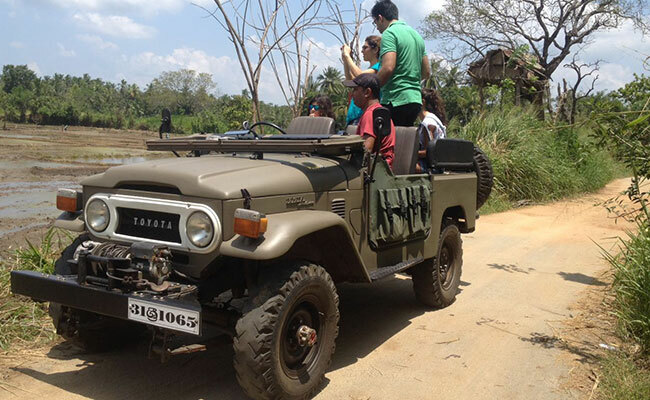 When going safari in Kumana, it is almost a private show as you have very less chances of encountering with fleet of other safari jeeps. 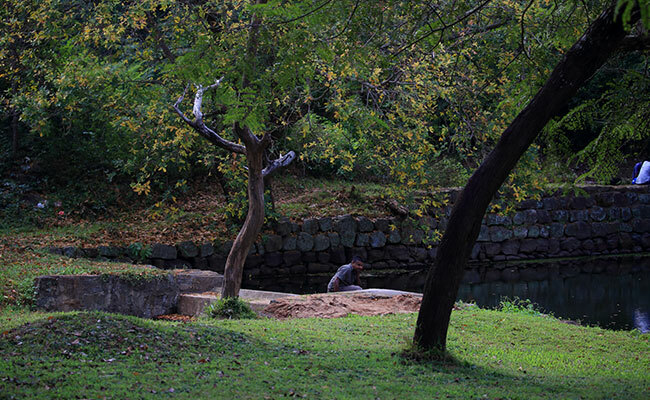 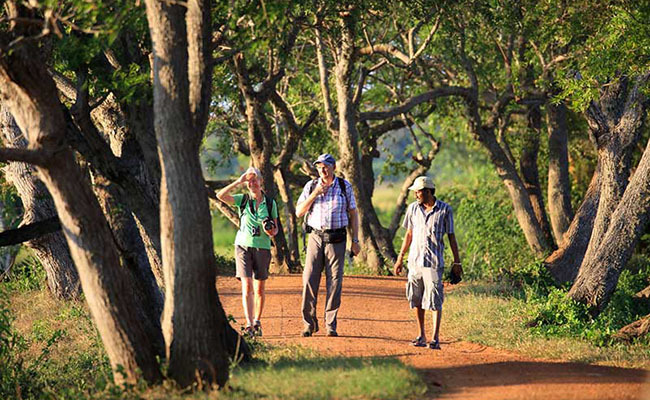 During the first half of the day we focus on wildlife before taking a picnic lunch by the Kumbukkan River which separates Yala National Park’s strict natural reserve (Block II) and in the second half we focus on one of the hidden archeological treasure inside the park, Bamabaragathalawa an ancient Buddhist monastery now in ruin inside the park which dates back to 2nd and 1st century BC. 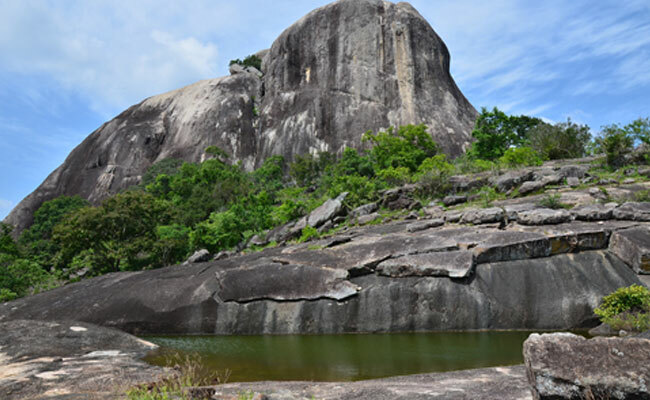 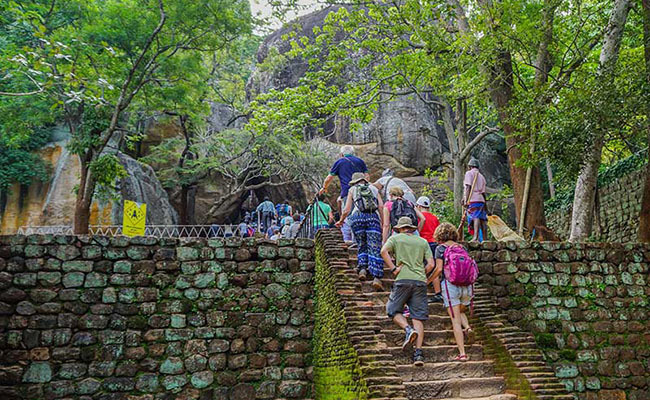 The Bambargasthalawa rocky outcrop lies nearly eight kilometres west of Kumana park gate, and the main rock ends in an unscaleable peak spread out in the surrounding jungle, with immense boulders and enchanting caves with drip ledges and rock cut flights of steps lying in groups. 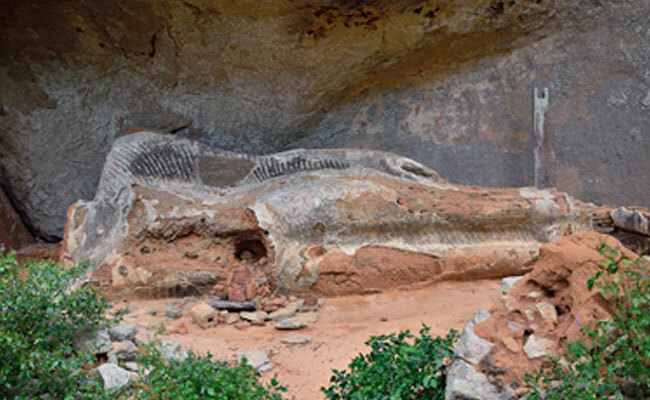 Many of these caves provided natural shelter for meditating Bhikkhus. 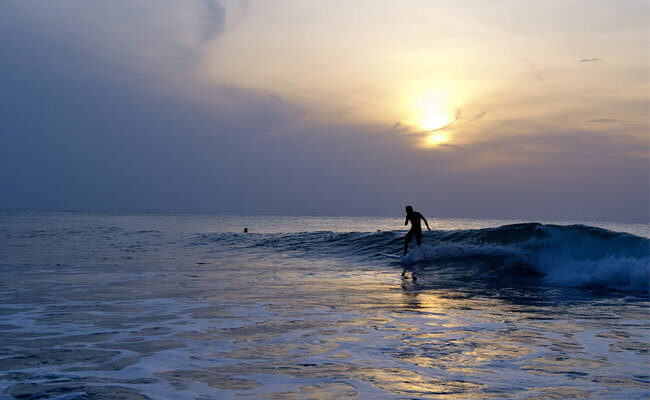 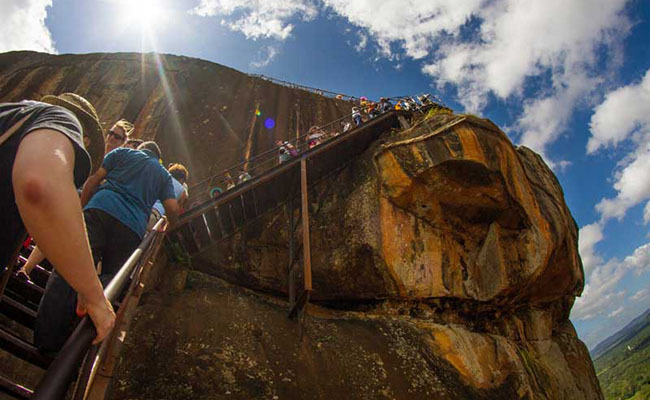 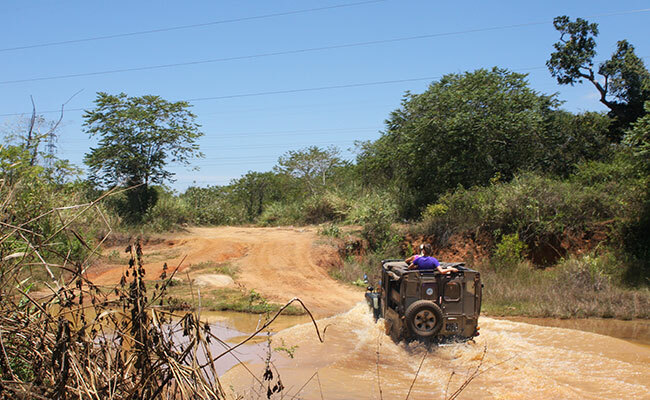 This excursion is very off the beaten path and only for the adventurous traveler. 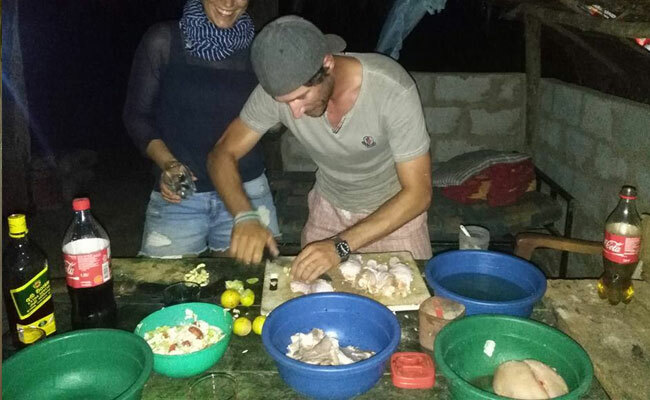 At the end of the Kuamana safari and heritage exploration, you will be served a private BBQ dinner by a villager in Panama beach. 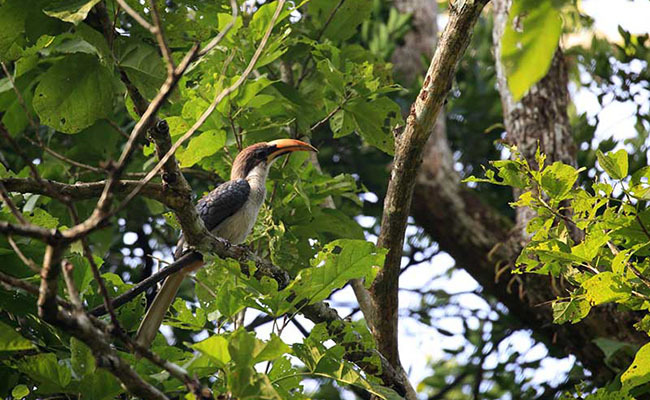 Panama is the last inhabited village in the eastern shore near Kuamana National Park. 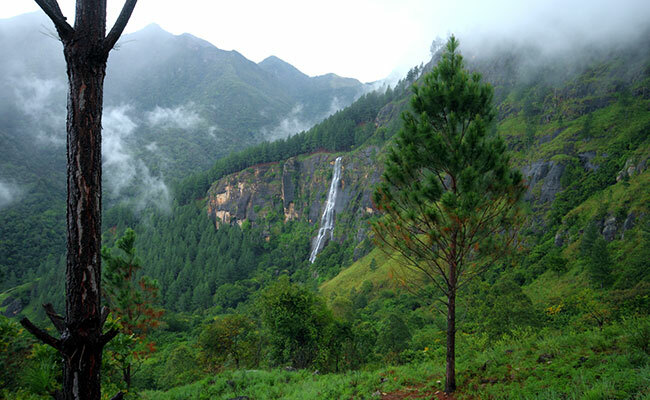 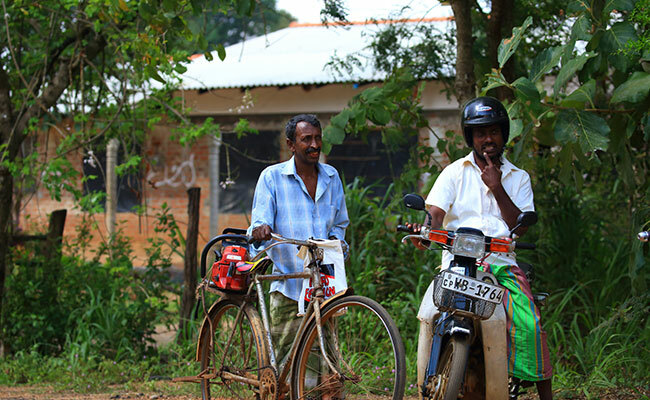 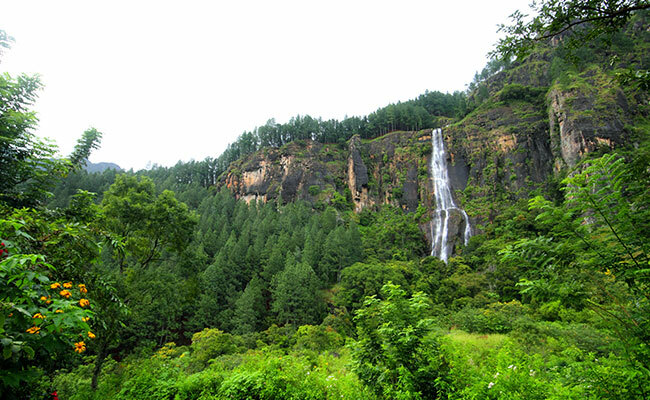 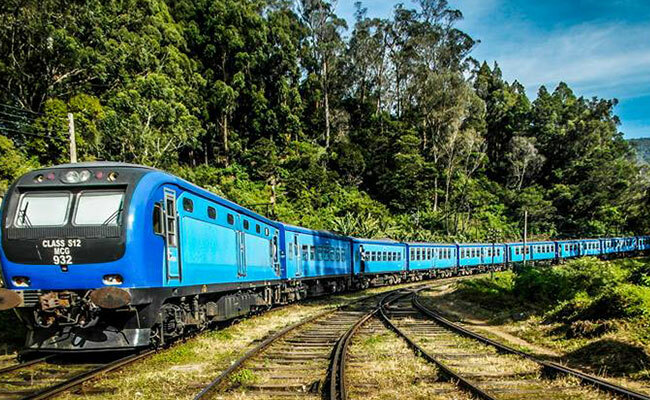 Transfer to Ella, approximately 3 to 4 hours drive through countryside to central hills of Sri Lanka. 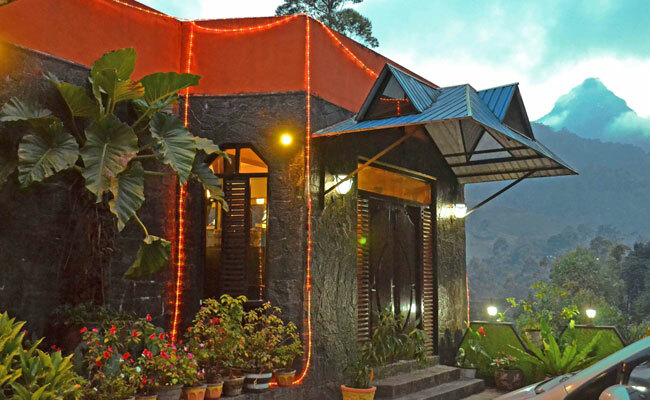 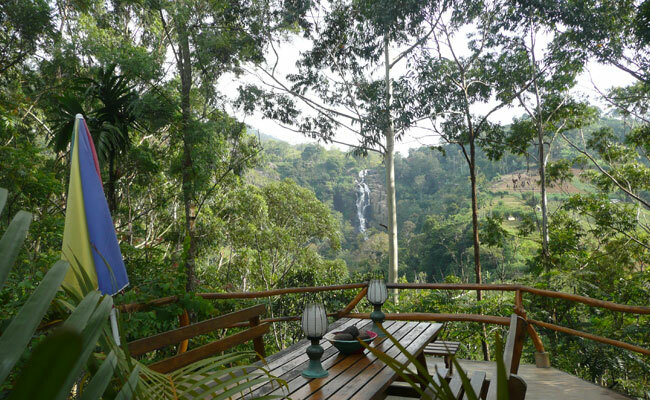 Overnight stay at Waterfall Guest House in Ella. 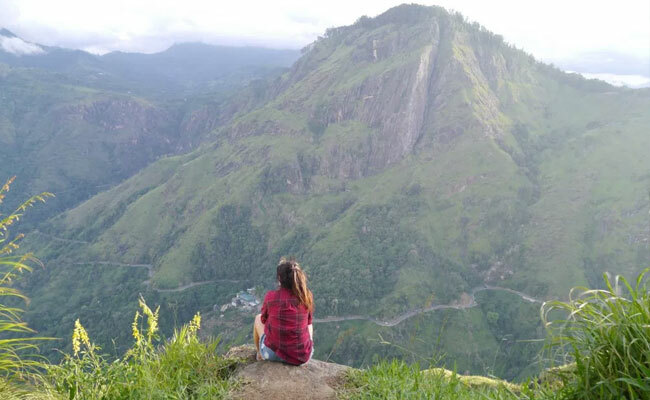 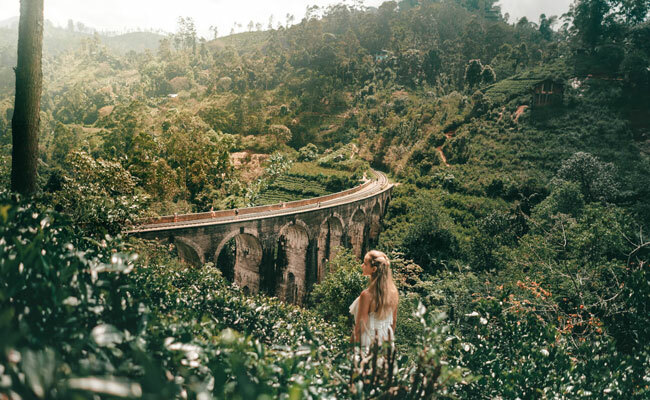 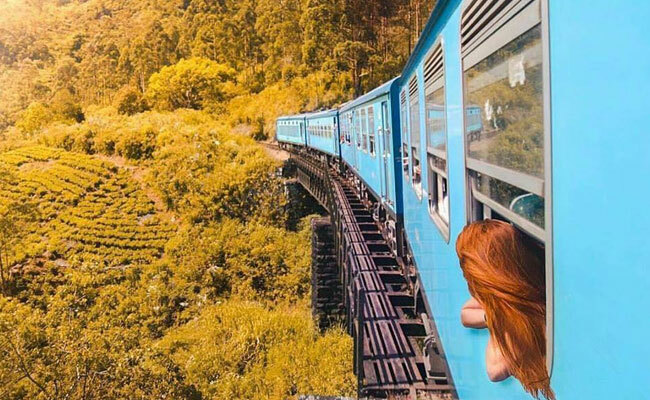 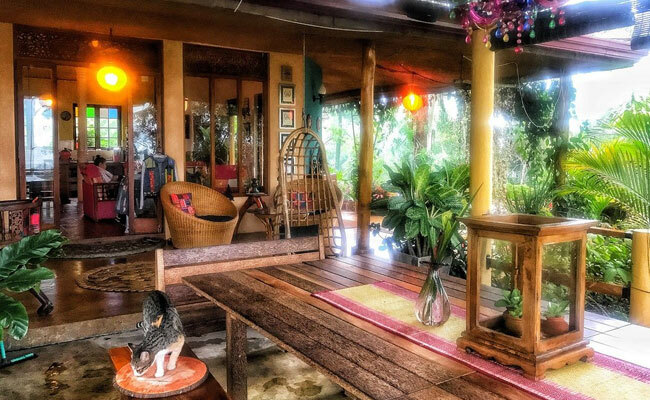 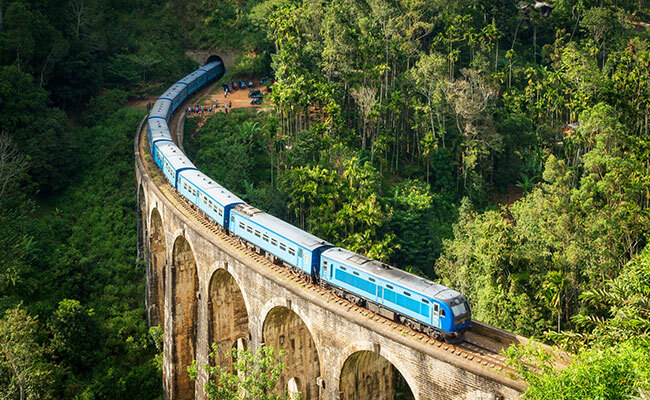 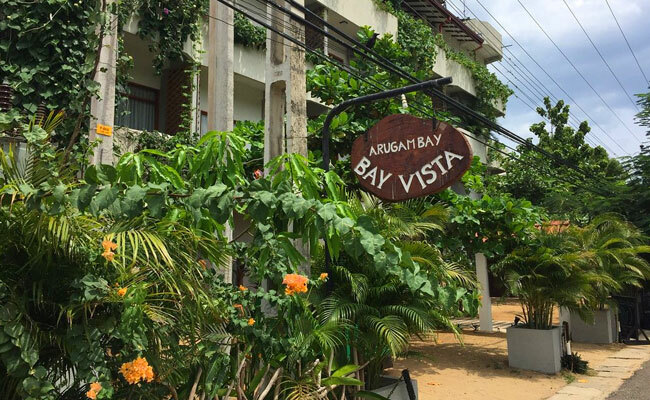 Full day at leisure or on your own taking local walks such as 9 Arch bridge, Little Adam’s peak walk or visiting Ella town to see markets and enjoy some great local food. 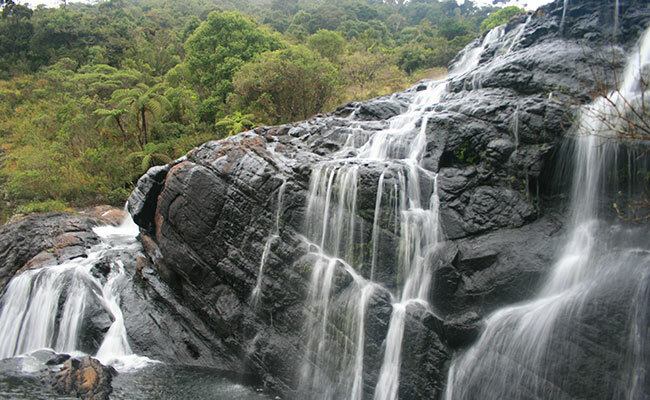 Our chauffeur will transfer you to Kaluphana, approximately 1 ½ hours drive from Ella where we start our trek to Ohiya via Bambarakanda waterfall, remote and scenic tea estate villages and a pass called Devil’s Staircase. 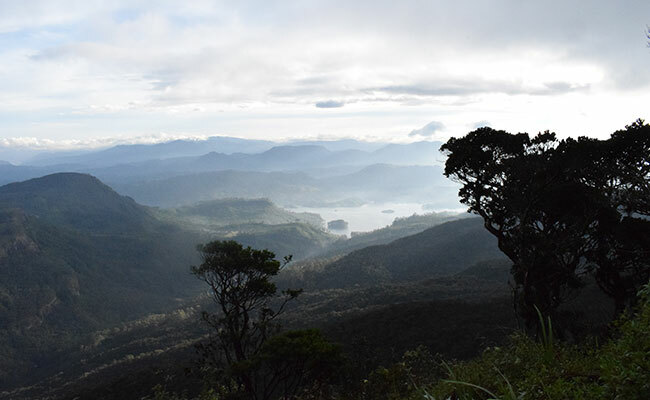 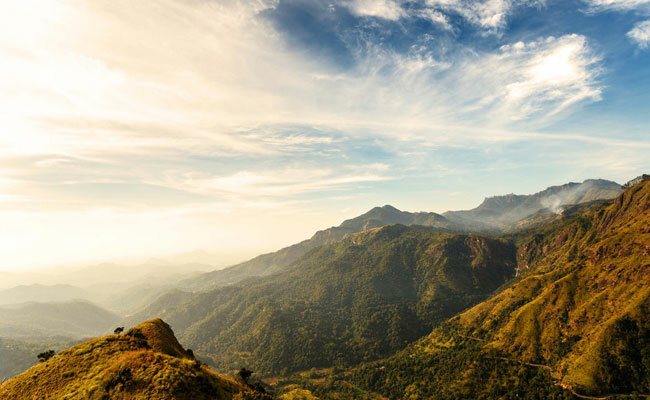 This is a very scenic walking trail in the central hills of Sri Lanka with jaw dropping views of the valley below. 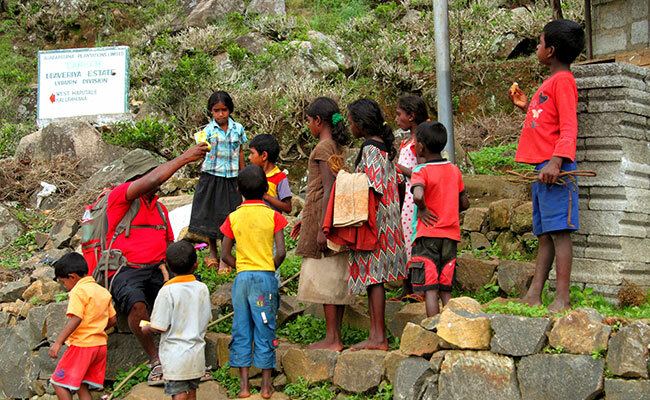 You could interact with villagers and their children who would appreciate a kind gift from you such as a cookie, chocolates or books and pencils brought from your country. 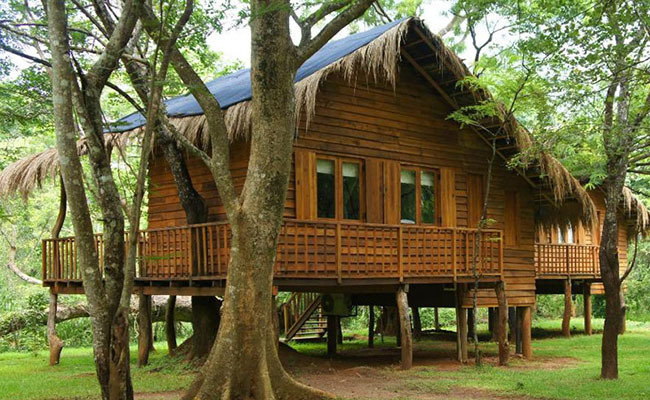 You will be staying in a very simple remote estate lodge. 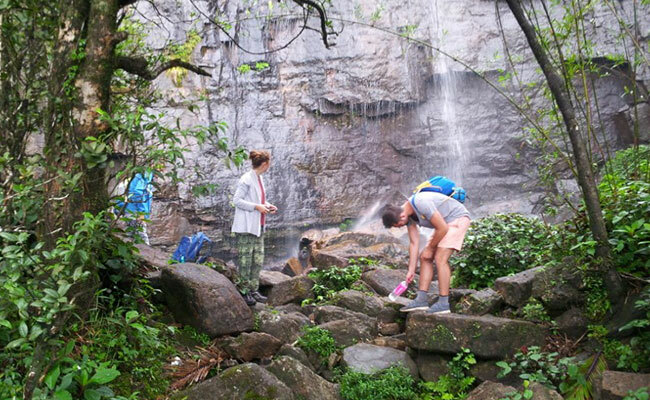 Picnic meals will be served during the trek. 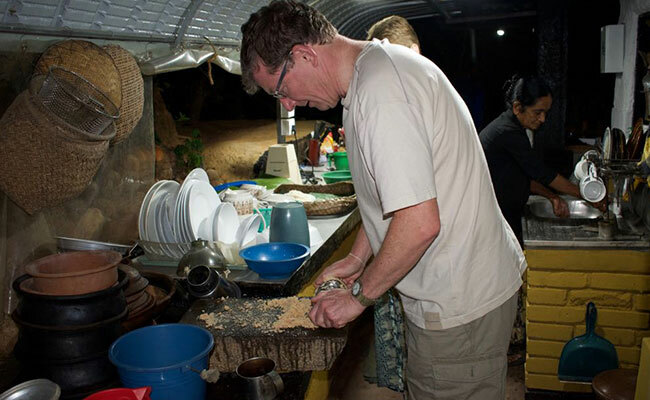 Dinner and overnight stay at remote estate lodge. 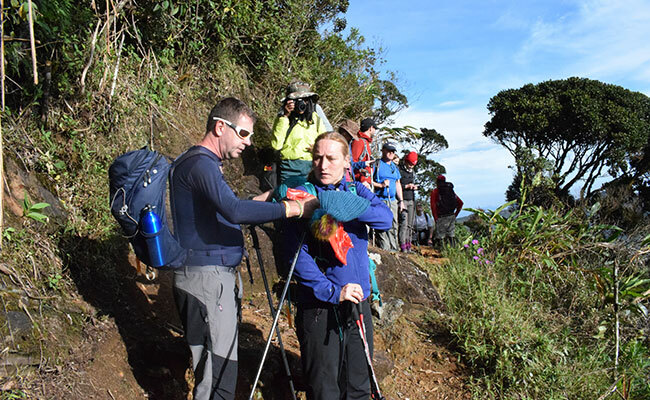 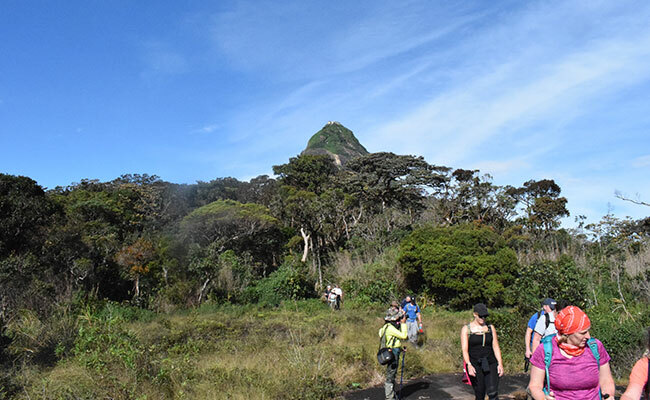 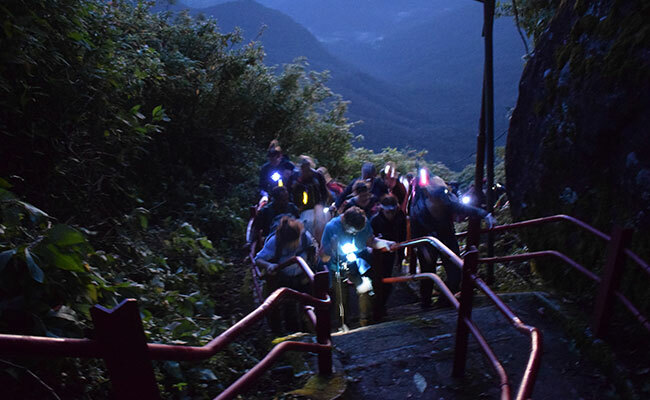 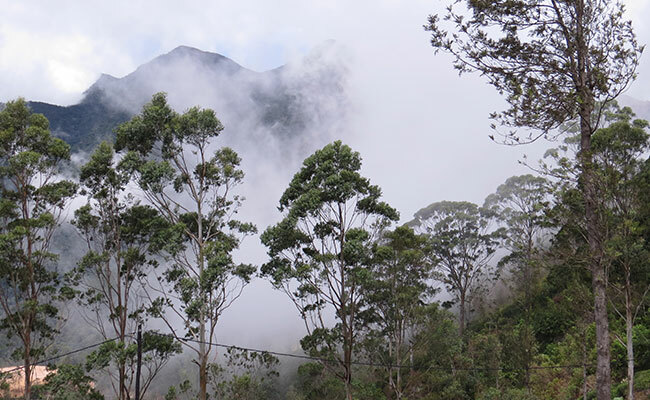 After breakfast you will be transferred to Horton Plains National Park, the trail head of Kirigalpoththa Mountain which is the 2nd highest Mountain of Sri Lanka after Pidurutalagala. 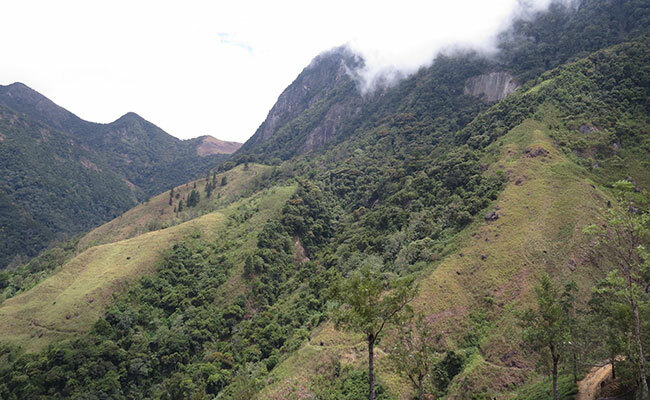 With a peak elevation of 2,388 meters above sea level. 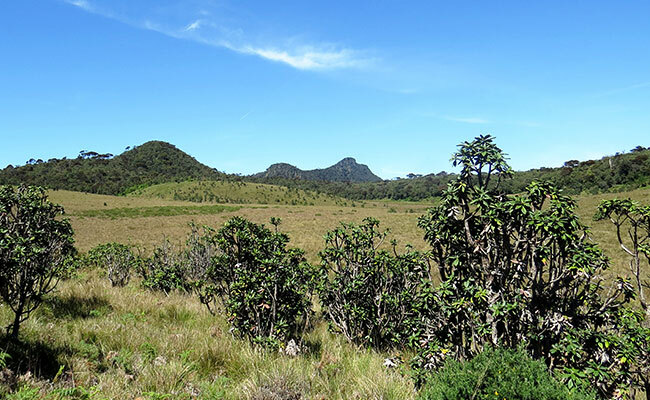 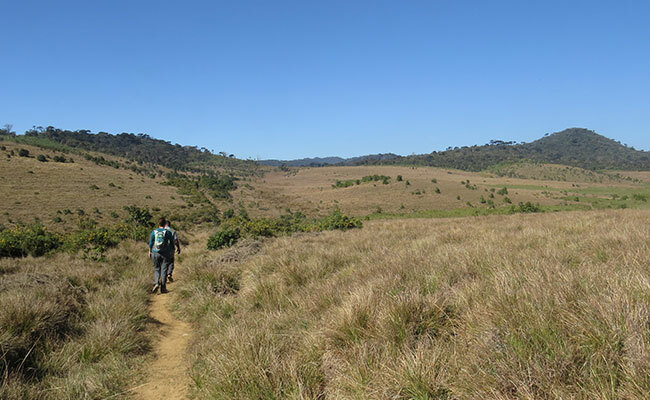 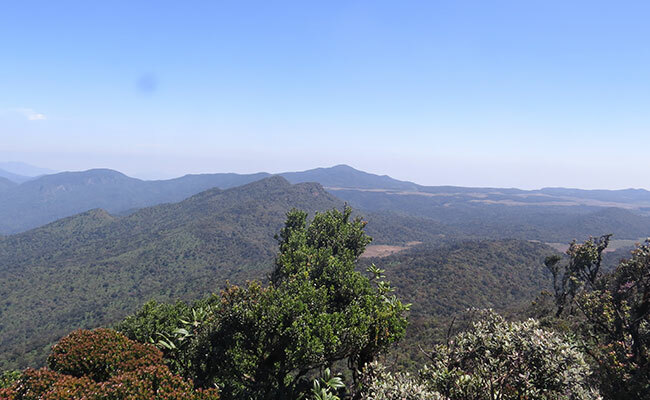 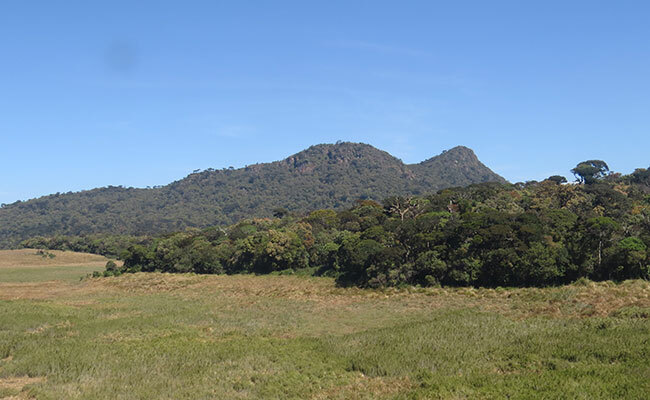 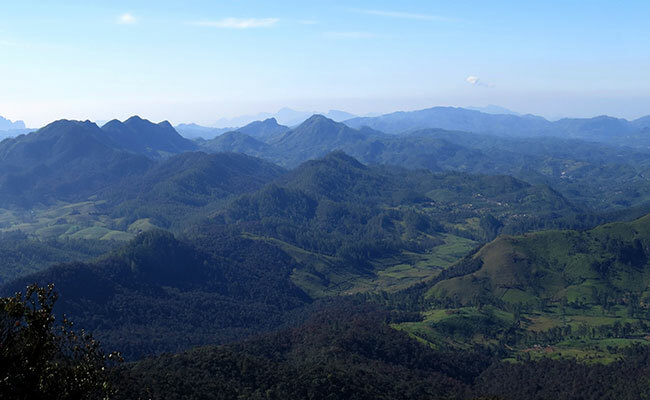 Kirigalpoththa is the highest point in the Horton Plains National Park and also the highest peak accessible to the public. 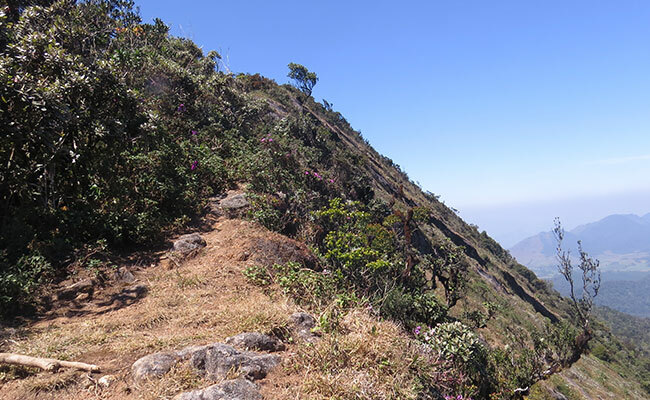 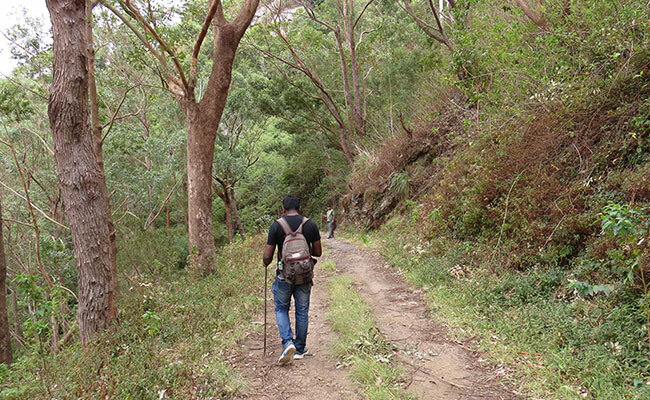 This 7 K.M trail (one way) will take around 5 1/2 hours of trekking, hiking & mountaineering challenges. 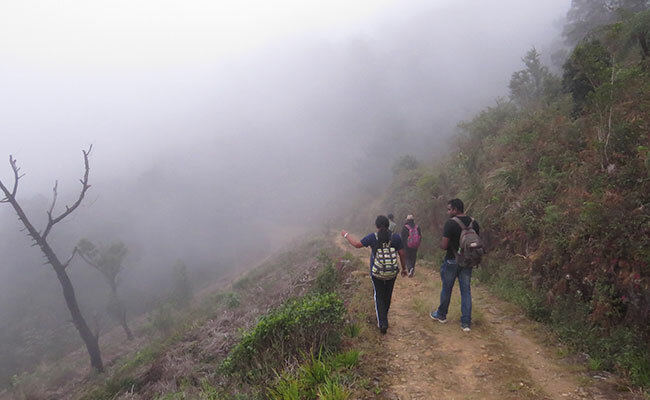 Attempting Kirigalpoththa is for the daring adventurers only as the conditions can be treacherous due to the difficulty of the terrain and weather. 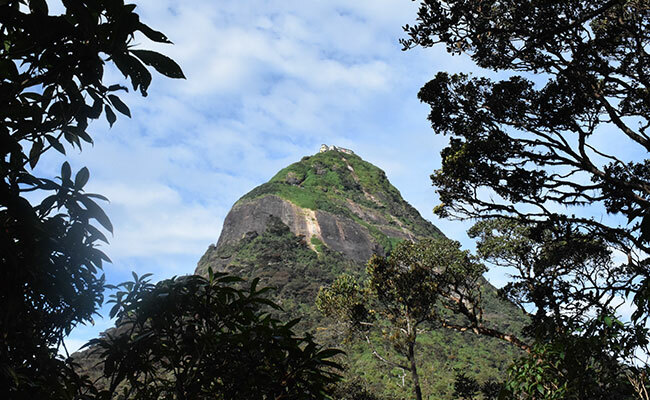 For every eight people who have reached the summit, one has always never reached the summit. 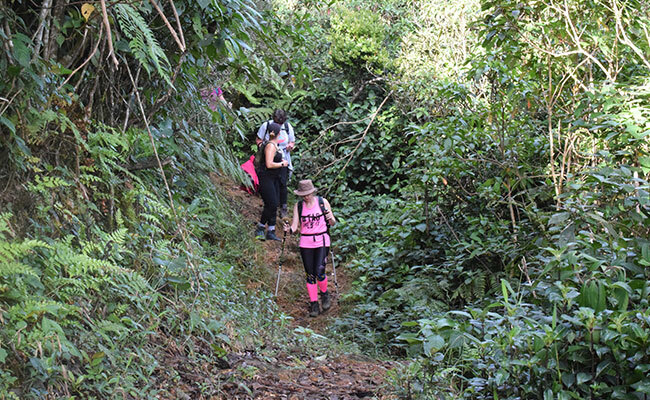 A single and slightly over grown path snake through grassy plains, cloud forest and finally steep rock surfaces. 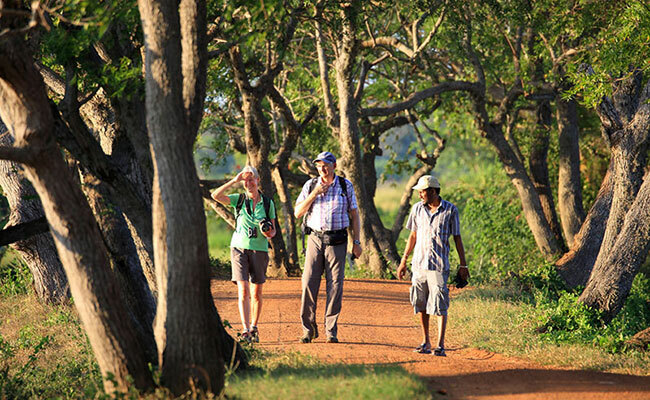 Sri Lankan Leopard & Sambur are the bigger wild animals you may sometimes come across; if you are lucky, you may even encounter a few endemic bird species as well. 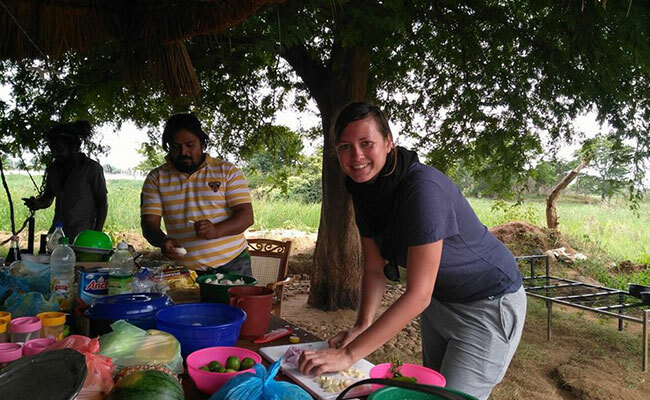 Picnic meals will b served during the trek. 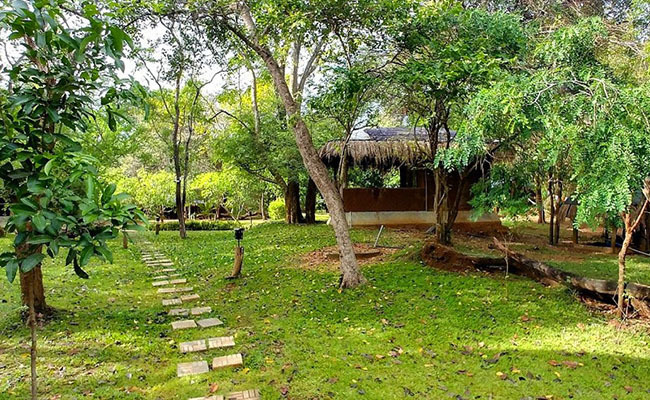 After dinner the Tamil ethnic staff at the lodge will organize a small traditional singing session to keep you entertained. 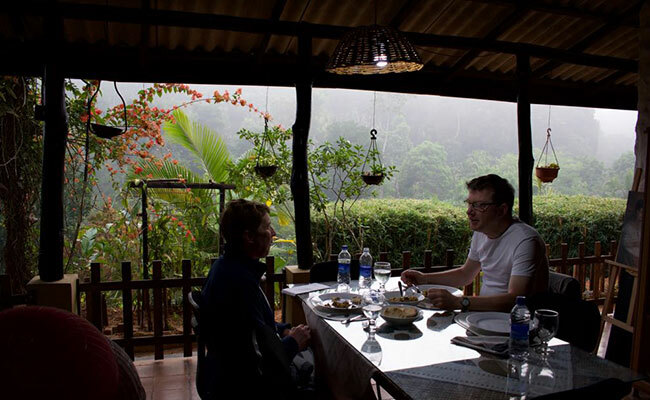 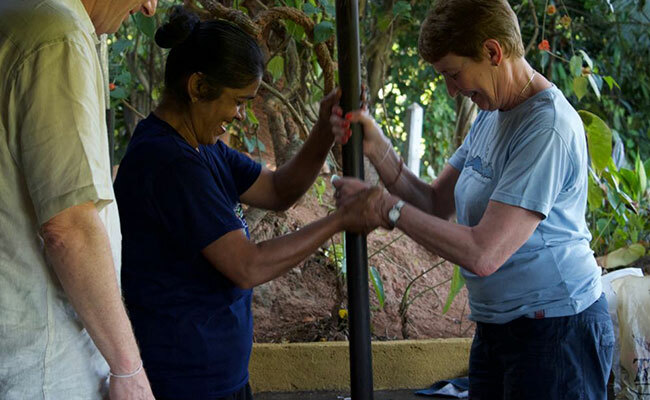 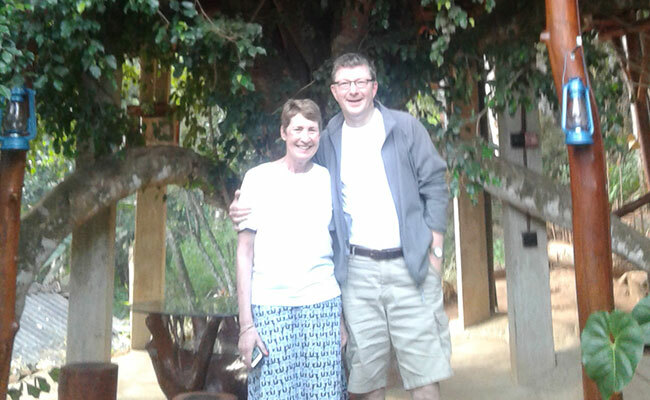 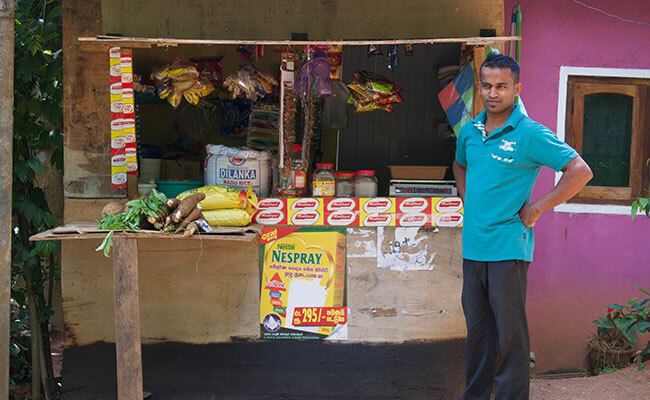 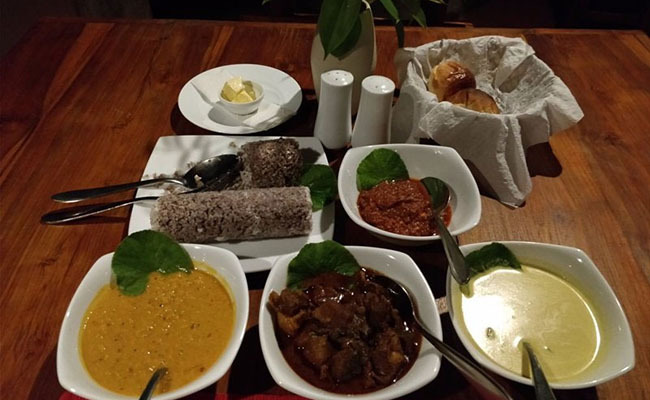 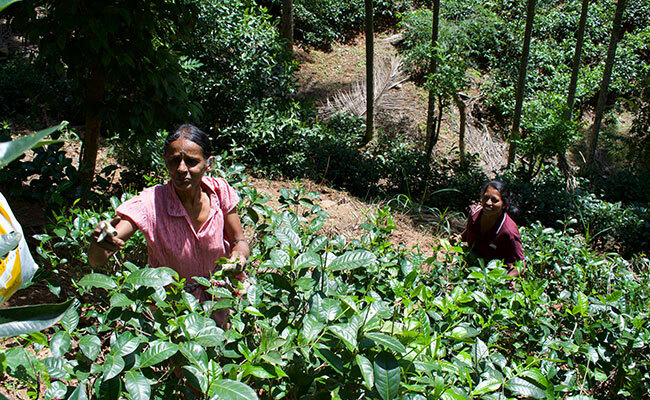 You will be warmly greeted by the local family at their home stay in Kandy where you will be staying two nights to experience the true local hospitality, understand the culture of real people and the best of all, food. 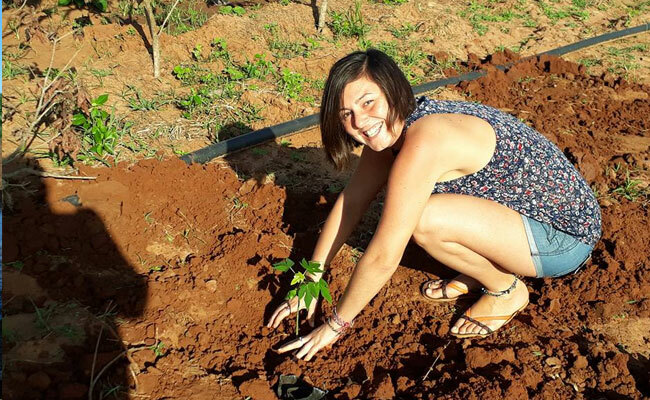 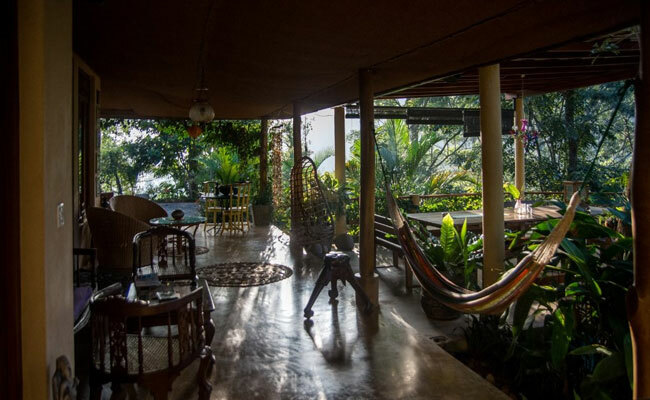 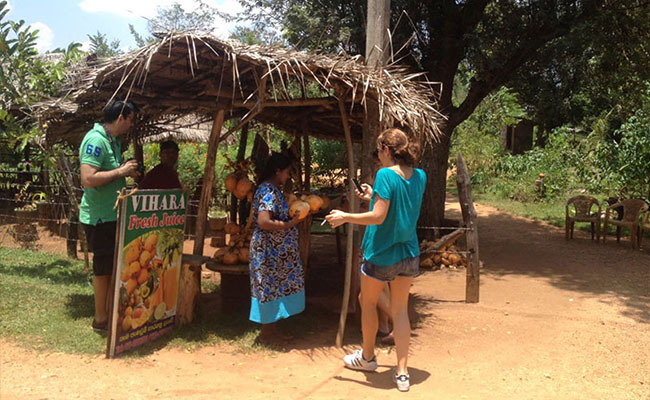 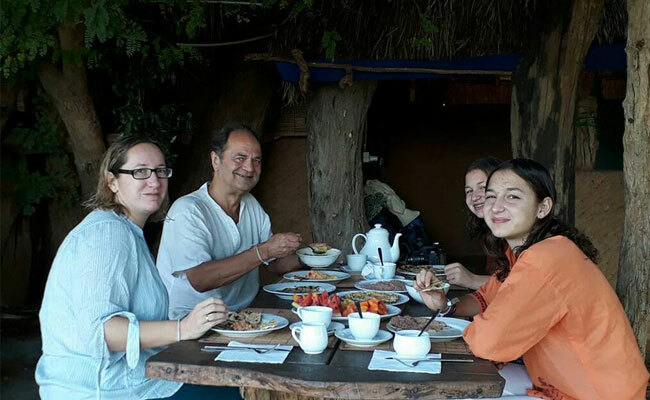 Spend some time relaxing on your own or interact with the hosts at the home stay exchanging cultural experiences. 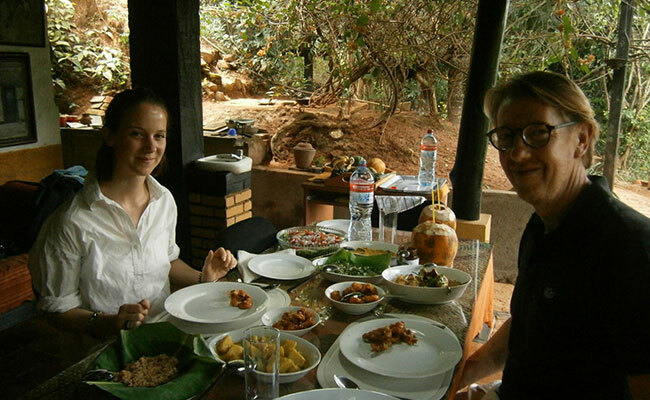 Enjoy a home cooked lunch at the home stay. 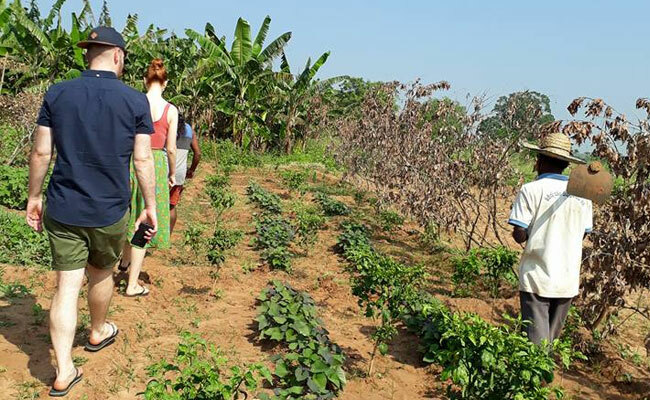 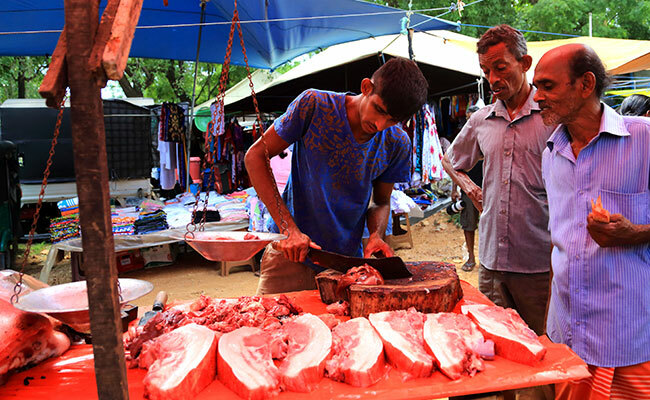 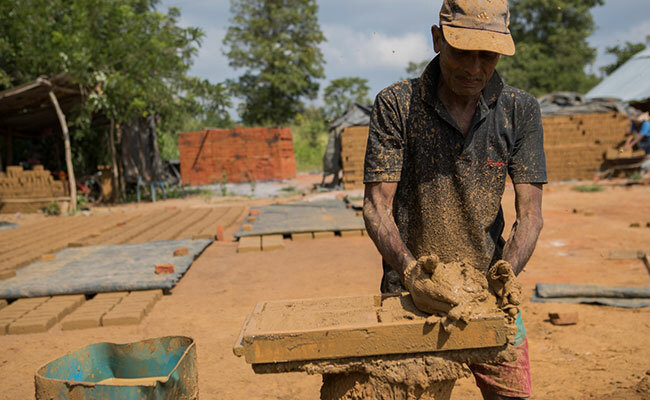 In the afternoon, set out to explore the village and its diligent inhabitants who indulge in various cottage industries and various agricultural practices in order to make a living. 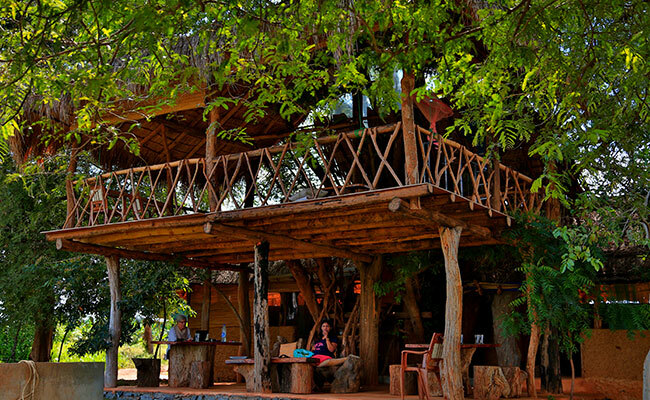 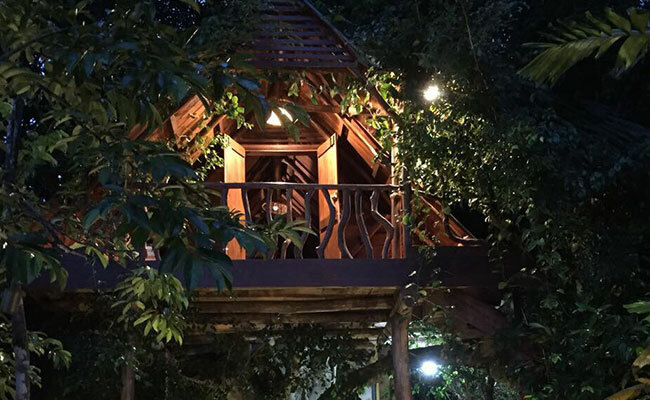 Enjoy the evening breeze and the serene environment while talking to the villagers about their culture and lifestyles. 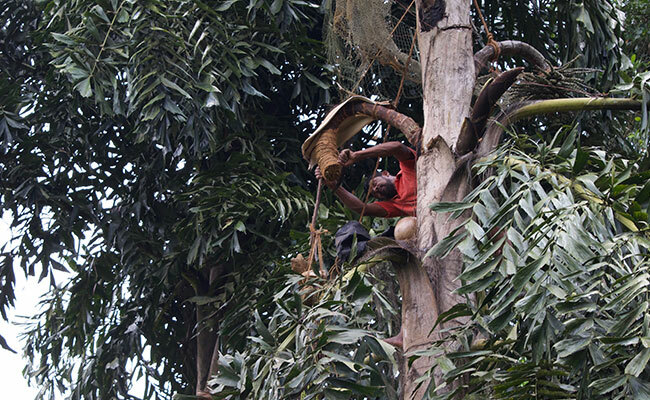 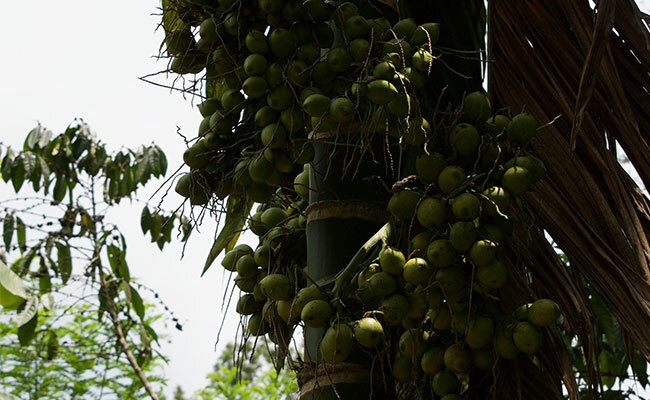 Watch how Kitul Treacle is tapped from the Kitul palm and how this sugary sweet sap is concentrated under high heat to be poured into moulds which is then turned into jaggery. 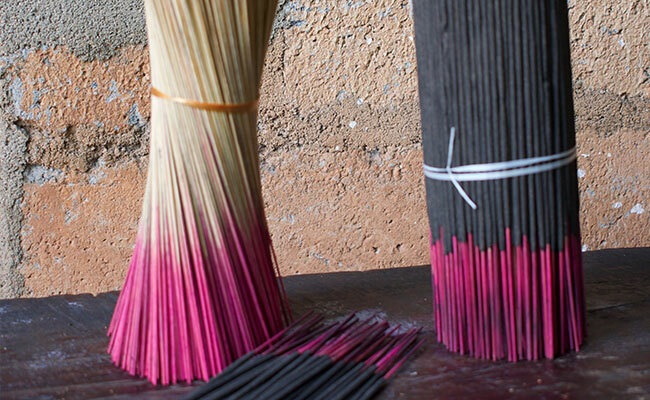 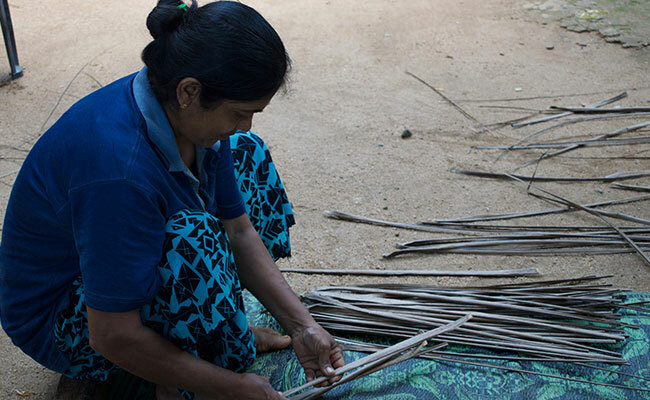 You would also visit a few homes to watch the production of hand-made incense sticks, creative woodwork and the weaving of reed baskets and mats. 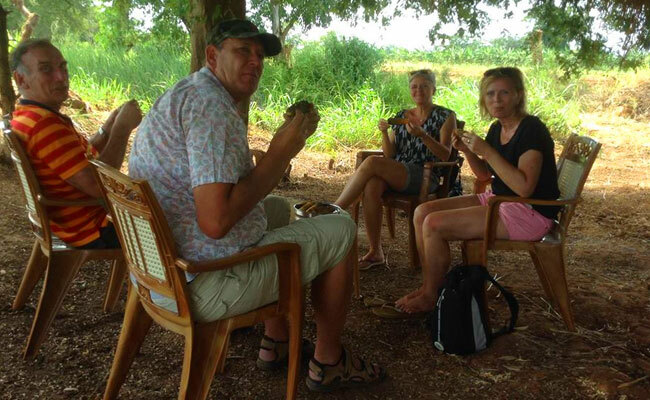 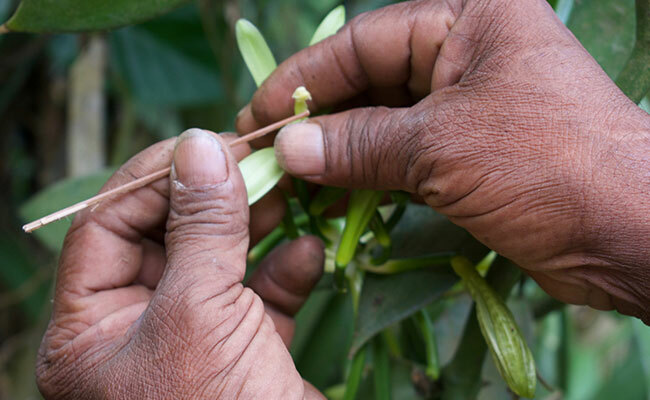 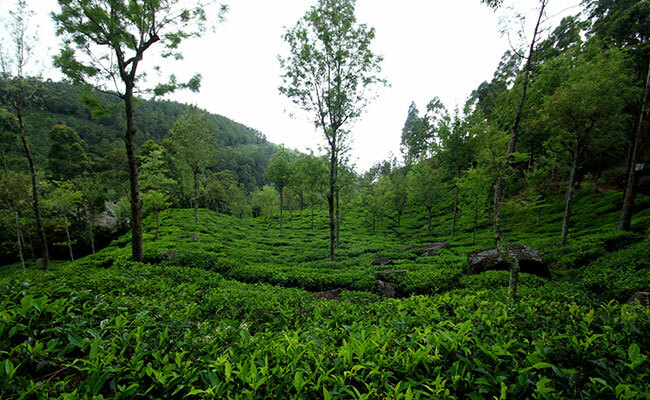 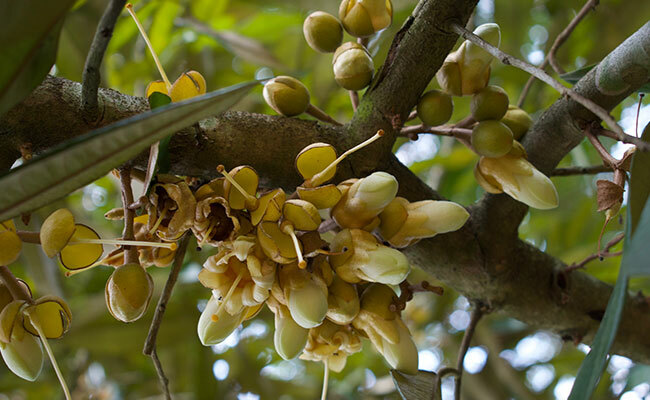 After enjoying a cup of plain tea with Kitul jaggery we will visit a small tea plantation to observe closely the hand harvesting of tea, a village vegetable farm, a rice field and a domestic spice garden. 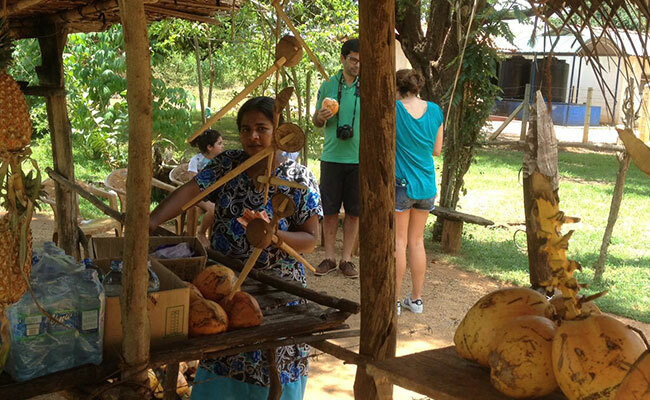 Visit a traditional village bakery run by a local family. 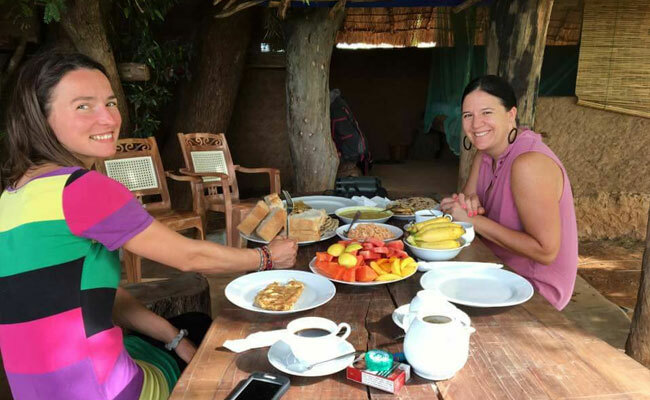 Chat with them about their humble beginnings and how the business has grown, their day to day activities and their lifestyles. 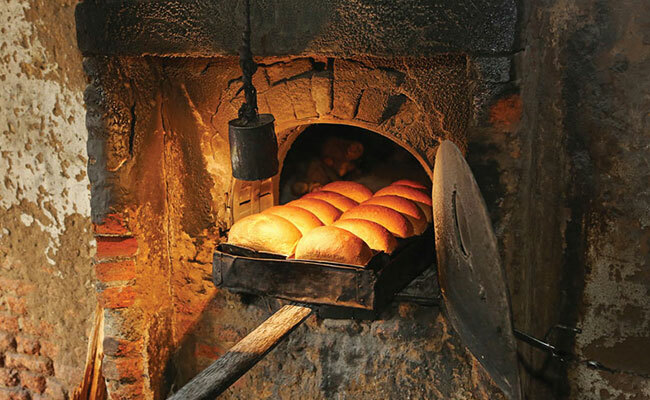 Watch the dough being kneaded and the bread being baked in a traditional wood oven. 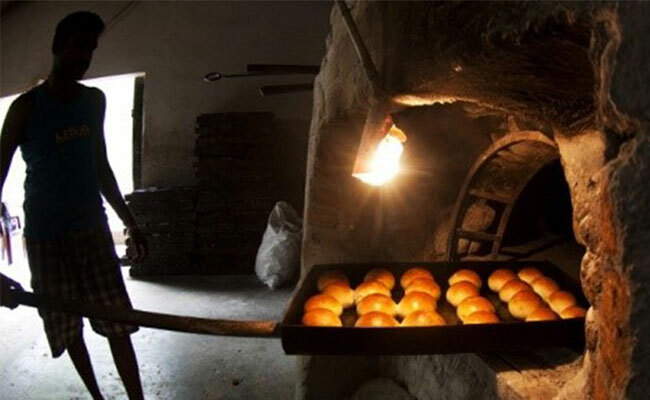 Enjoy tea buns while the bread is being baked. 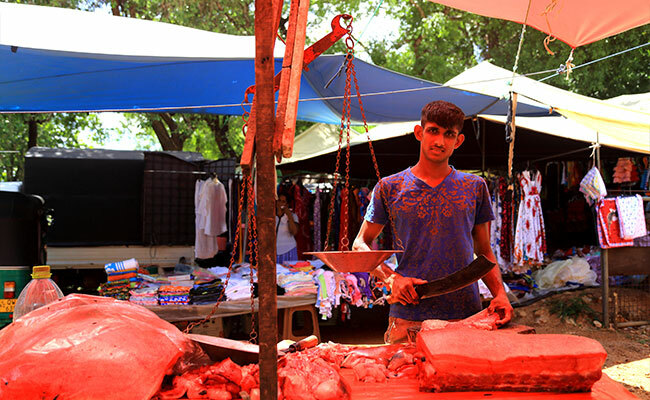 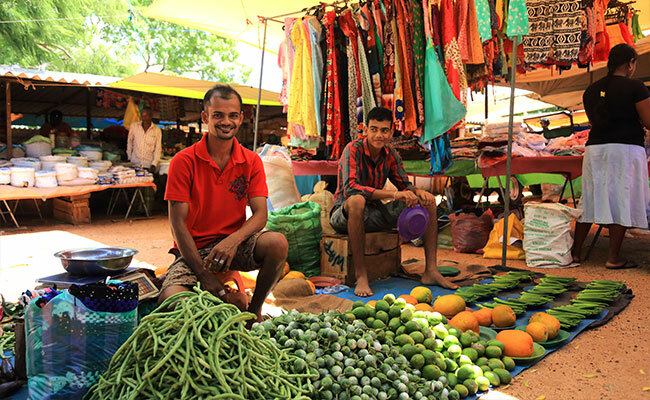 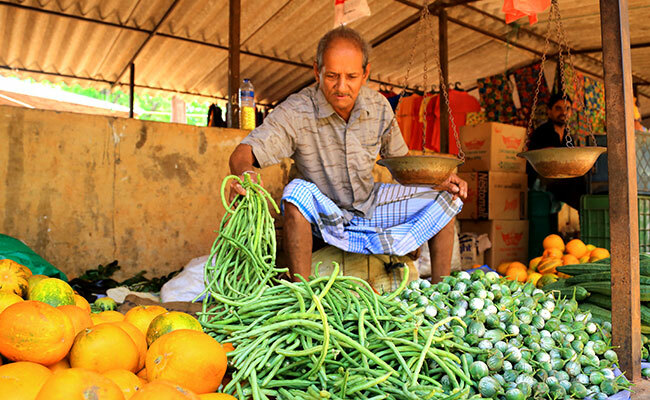 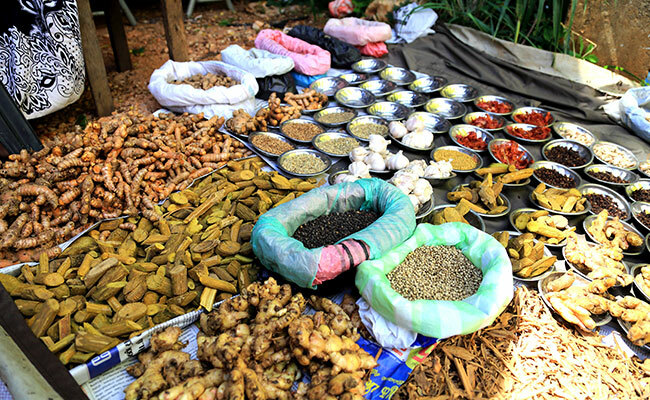 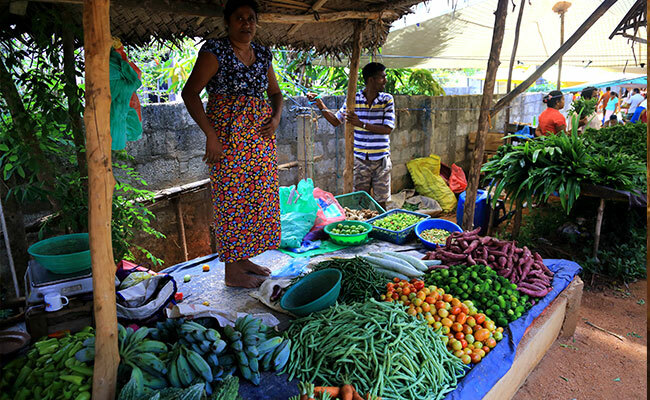 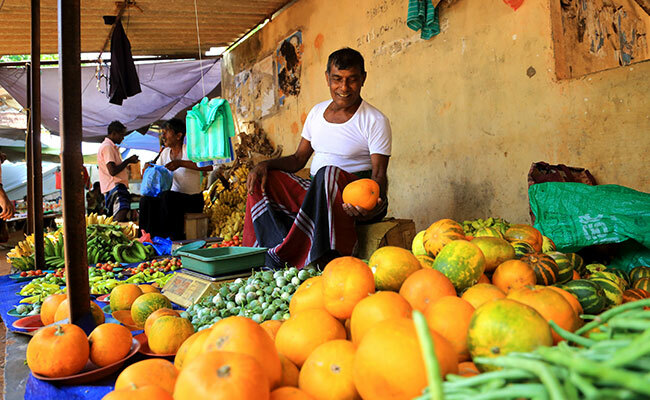 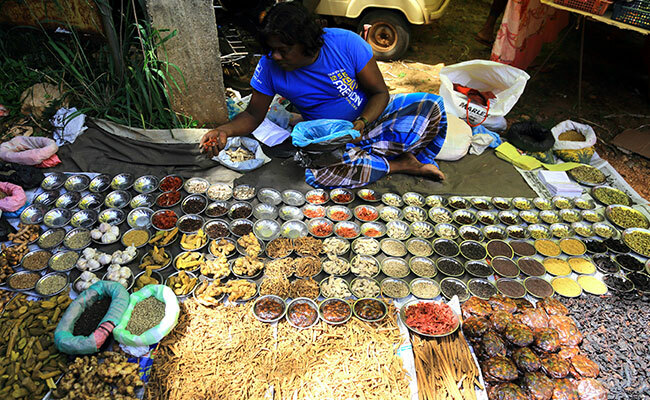 Visit a local market to learn about home grown vegetables, spices and buy some ingredients. 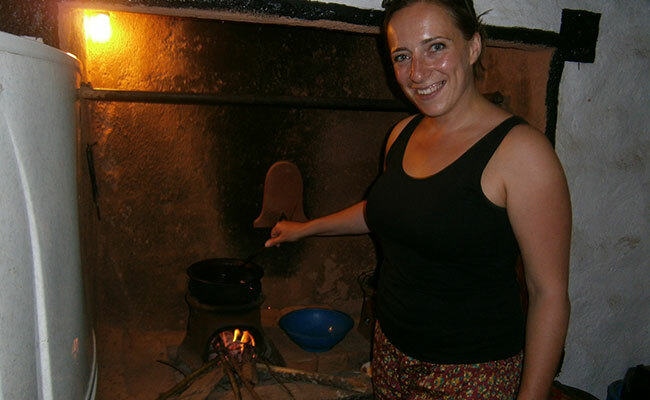 Back at the home stay, with the housewife you could take part in an traditional cooking experience and enjoy the meal you just cooked as lunch. 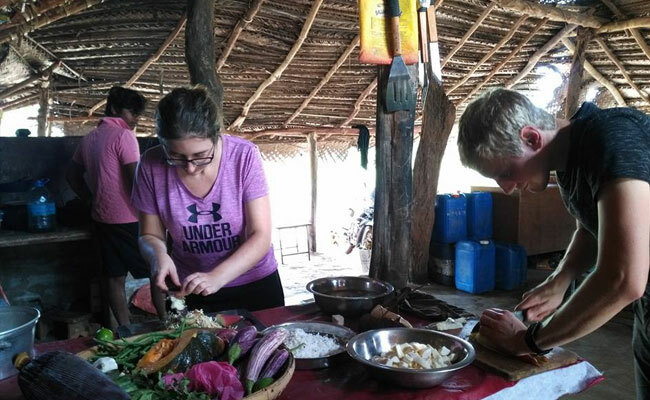 Take part in String hoppers or Hoppers preparation for dinner at the home stay, a fun way to learn to cook unique Sri Lankan food. 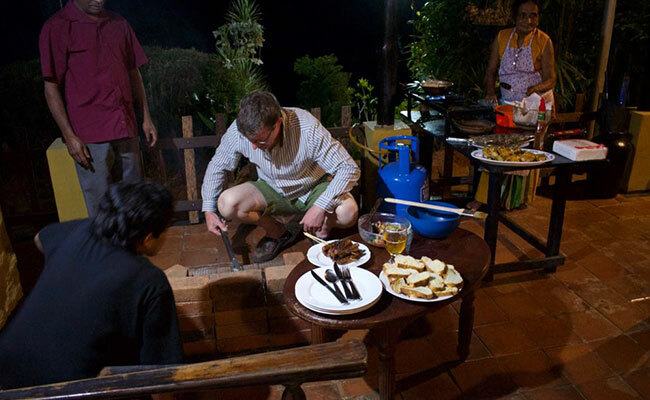 Or you may even opt to do a BBQ. 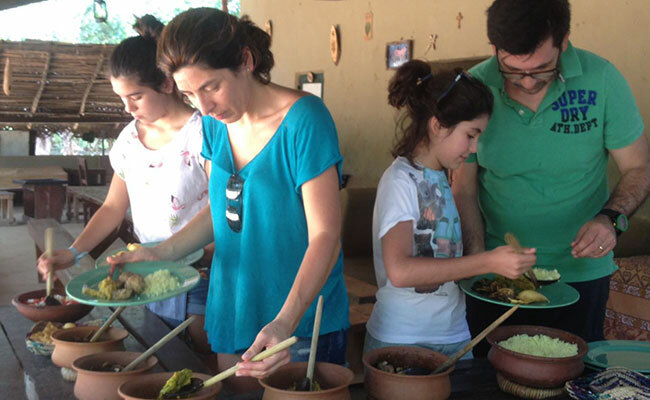 Enjoy your dinner with the local family. 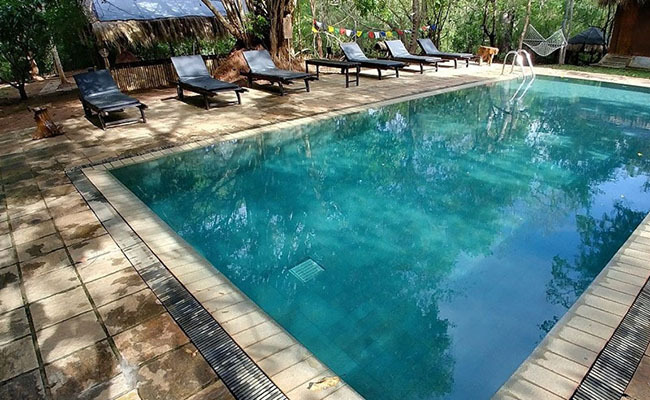 Check on to The Other Corner Lodge in Habarana and enjoy a relaxing dip in the pool and spend some relaxing time at the lodge. 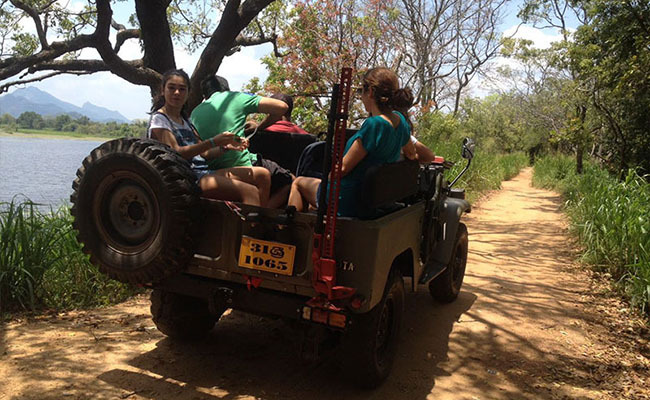 Take a classic and off road jeep ride with a villager/guide to explore the culture and nature in Sigiriya and Habarana areas where you would be able to visit an authentic village in the interior of Sigiriya, rice fields, vegetable fields, lakes, ancient temple, a monastery, a village blacksmith, village carpentry workshop, traditional brick makers, village vendors and walk through a forest where you could see birds, crocodiles and some local wildlife such as water buffaloes, if you are lucky even Elephants could be seen. 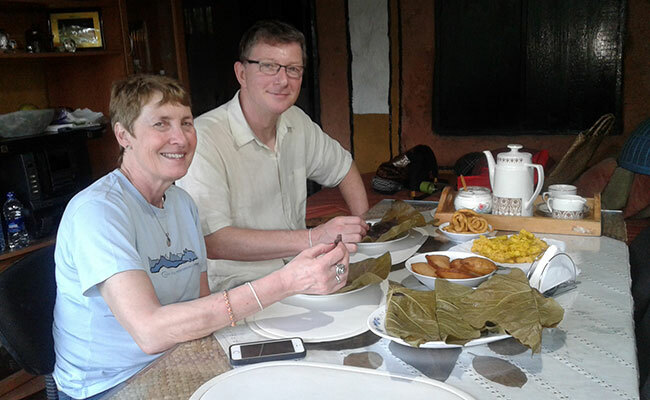 The trip ends enjoying a home cooked rice and curry lunch at a village house. 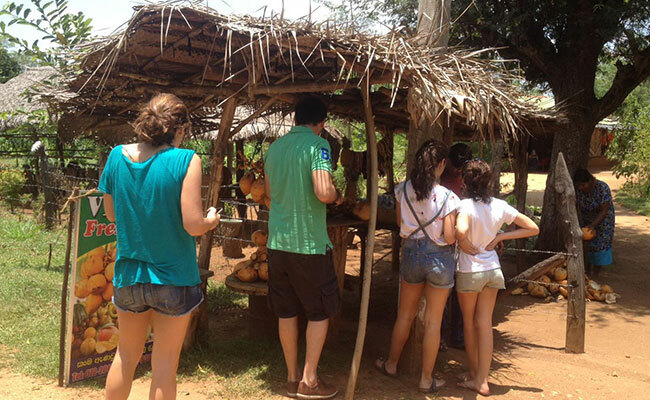 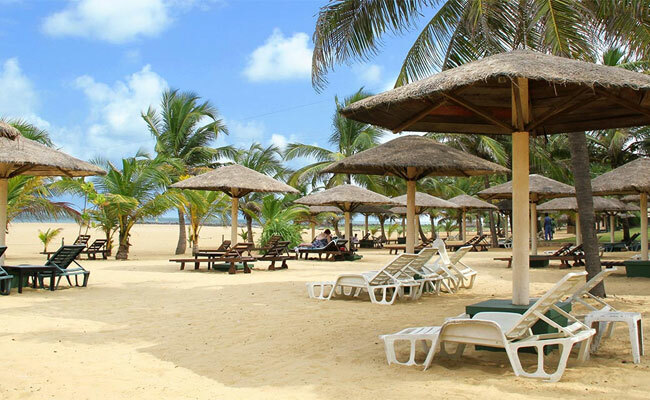 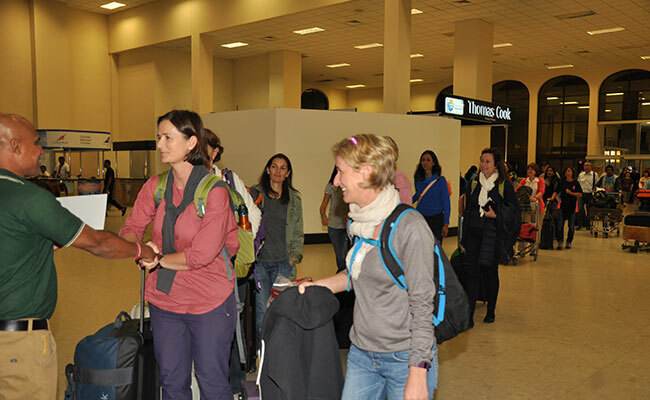 This is a very authentic trip as it does not take you to see any staged attractions or mass tourism attractions. 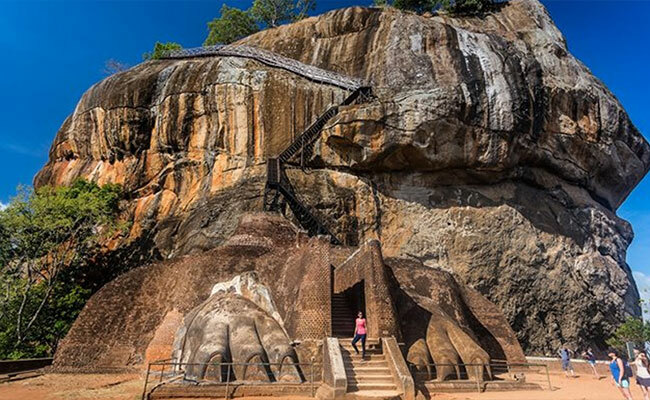 You will be then transferred to Polonnaruwa, approximately one hour drive from Habarana to the 2nd most ancient ruined city of Sri Lanka. 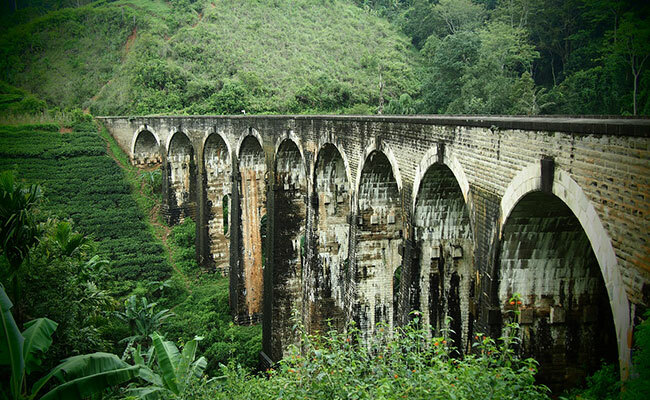 You will be then cycling inside the ruined city to explore the glory of the bygone era which could be found in the archaeological treasures that still give a good idea of how the city looked in its glory days. 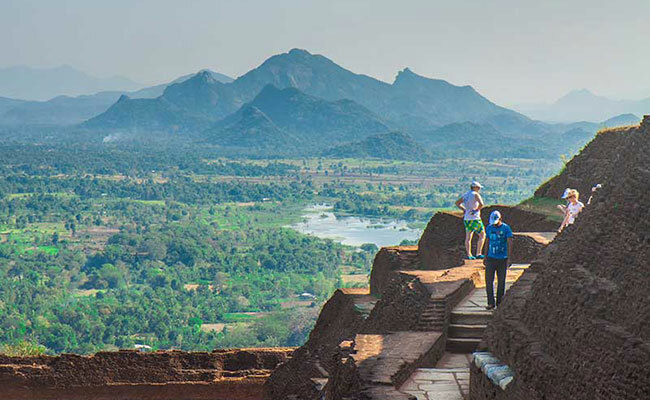 You'll find the archaeological park a delight to explore, with hundreds of ancient structures – tombs and temples, statues and stupas. 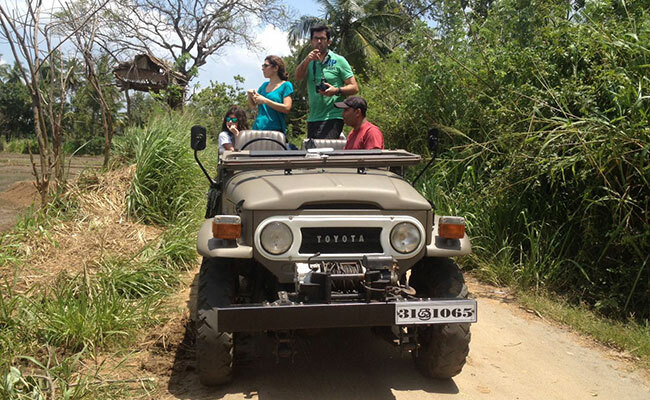 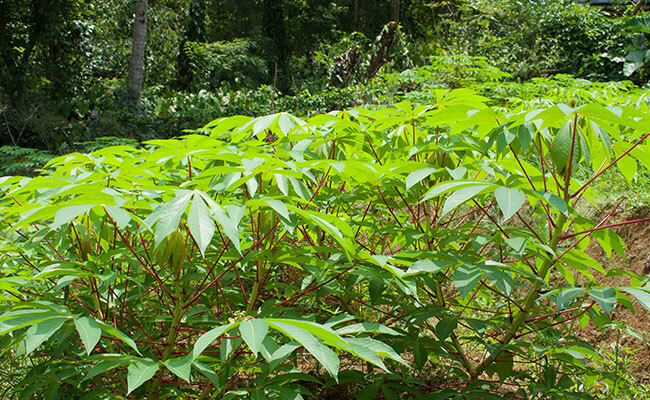 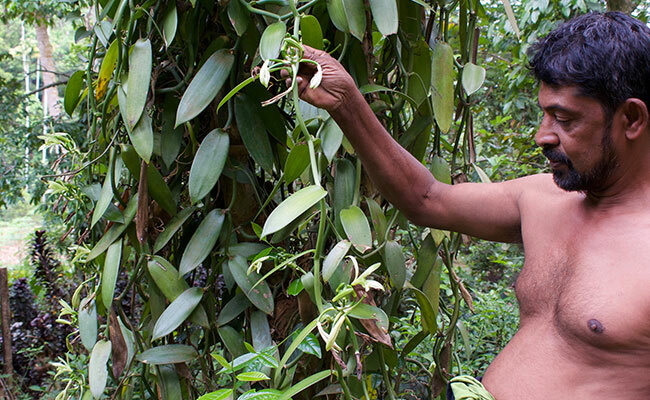 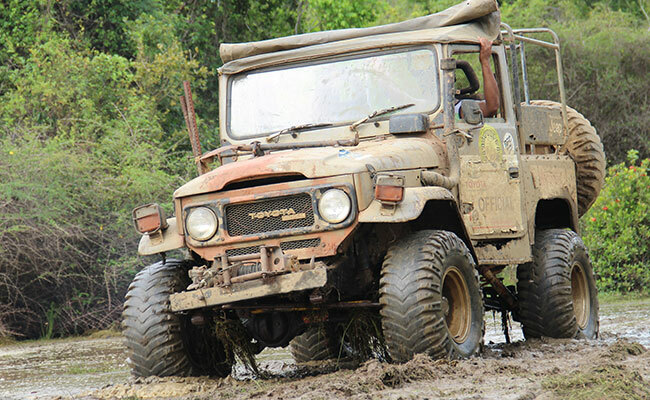 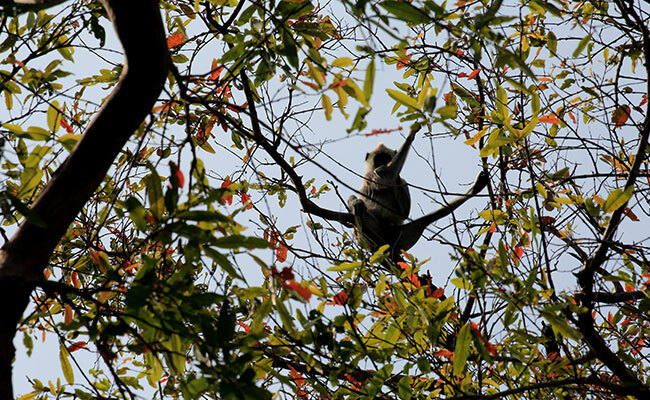 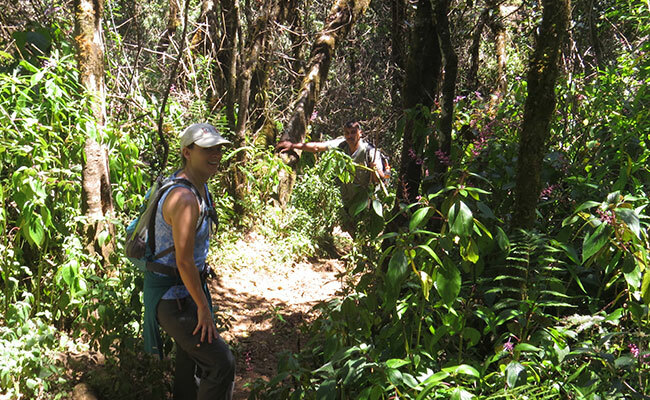 Take a guided Jungle Walk and 4 x4 Jeep ride in Habarana with a naturalist. 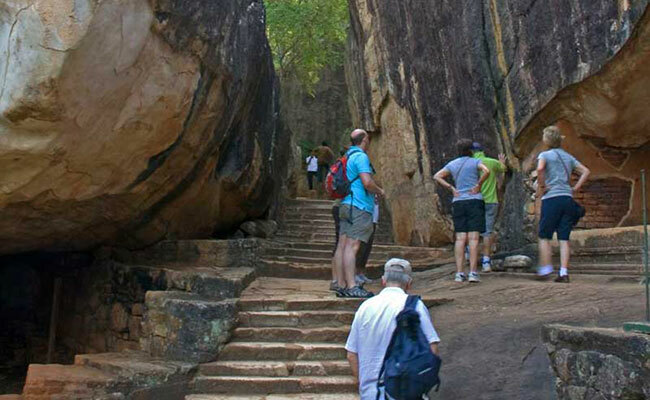 Habarana is an interesting destination that is immersed in a colourful historic past in addition to being a wildlife hotspot, thus making it a popular tourist destination that serves a good mix of both worlds. 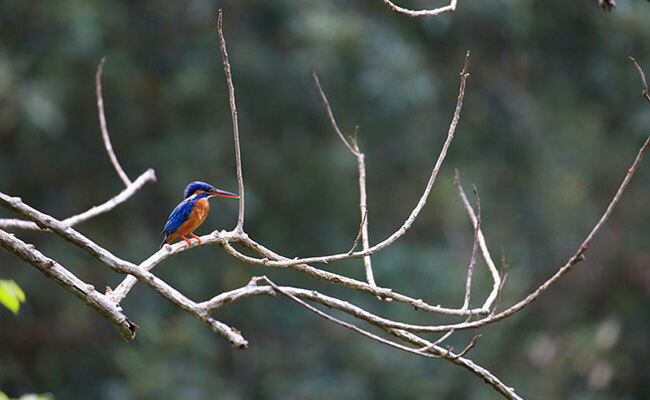 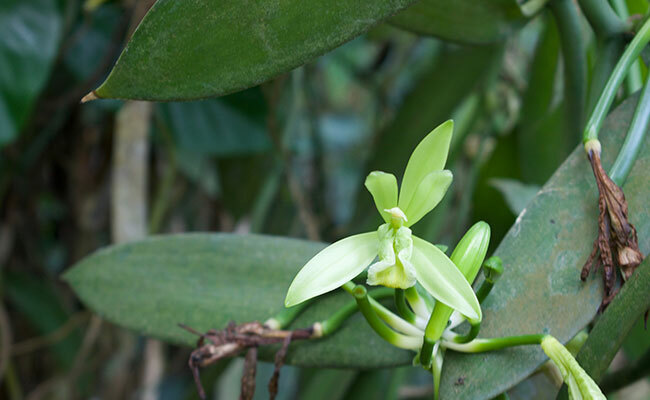 Be accompanied by an expert naturalist who will carefully explain and show you some amazing natural wonders hidden in the depths of this wildlife treasure trove. 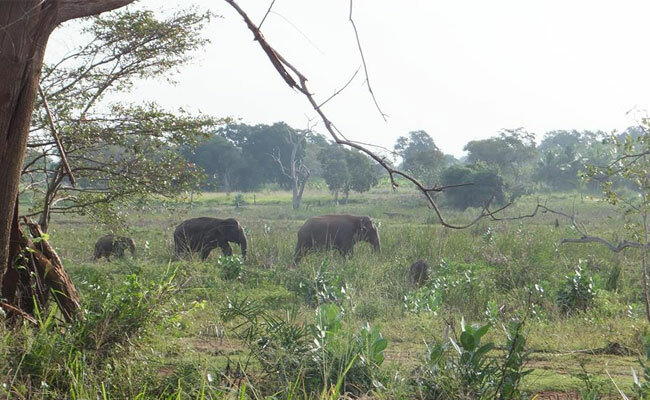 The Habarana Jungle being close to the Minneriya Sanctuary offers some spectacular wildlife sightings, which includes Elephant encounters. 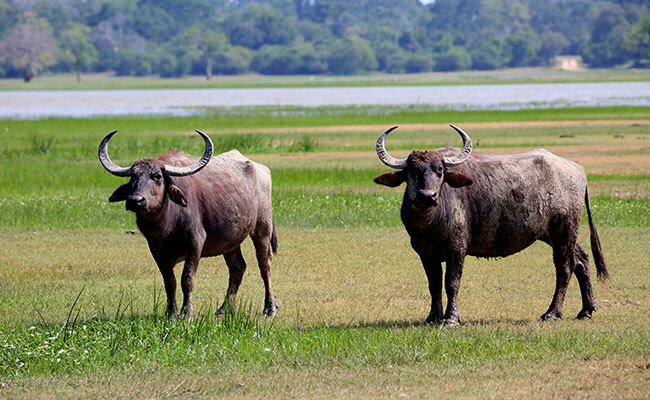 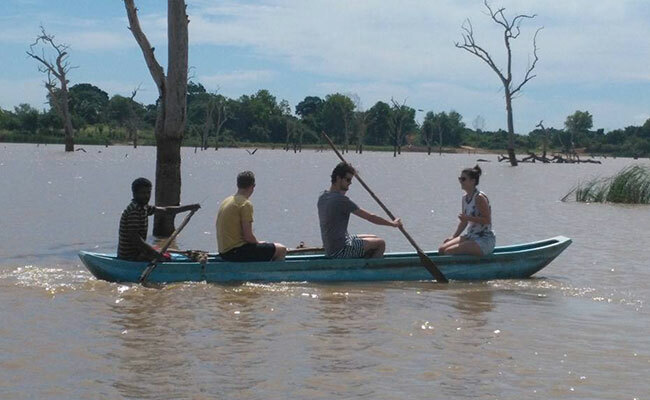 The lake with its placid waters is a big attraction so be ready to see plenty of birds both endemic and migratory, crocodile basking in the sun, wild Buffalo roaming around and the occasional Elephant, sometimes in herds, with the baby jumbos tagging along. 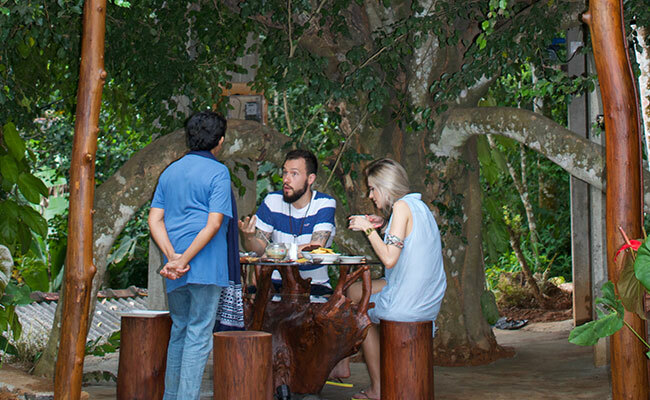 Be enthralled by the beautiful flora and fauna, while listening to some interesting stories of a colorful past. 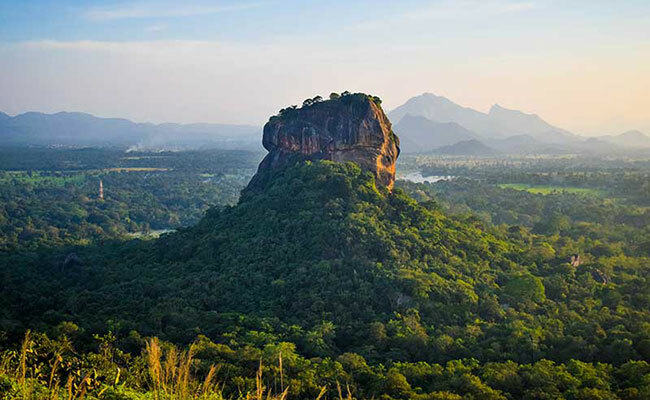 At the end of an exciting and arduous evening it’s time to refresh, relax and enjoy at the sundown gathering hosted at the edge of the rock cliff that boasts of a panoramic view of the surrounding jungles. 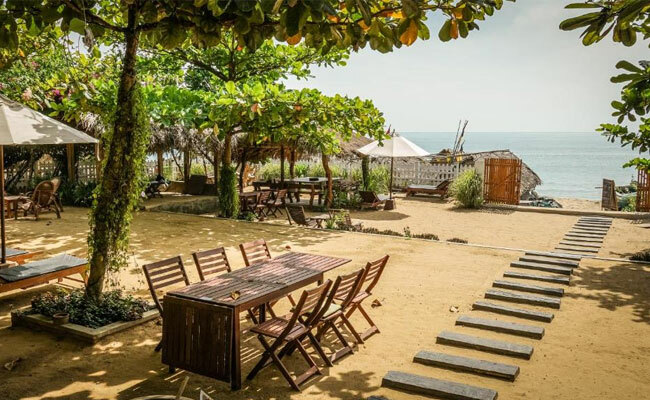 Enjoy a shot or two of local liquor accompanied by yummy local cuisine and spicy nibbles, while the surrounding is swathed in the golden glow of the setting sun. 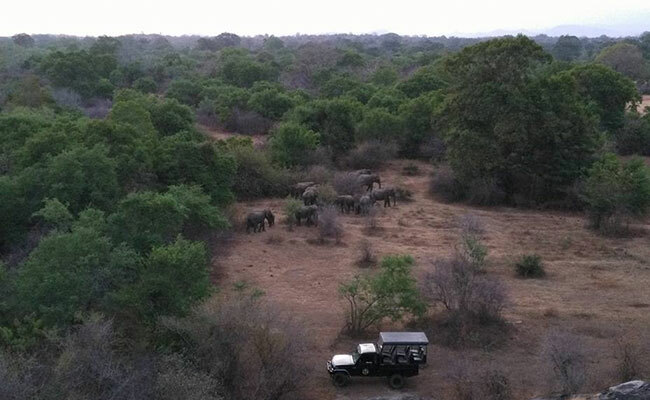 And if you are in lucks way you might see the mighty Elephants heading for their habitats, before the dark shadows of the night sets in. 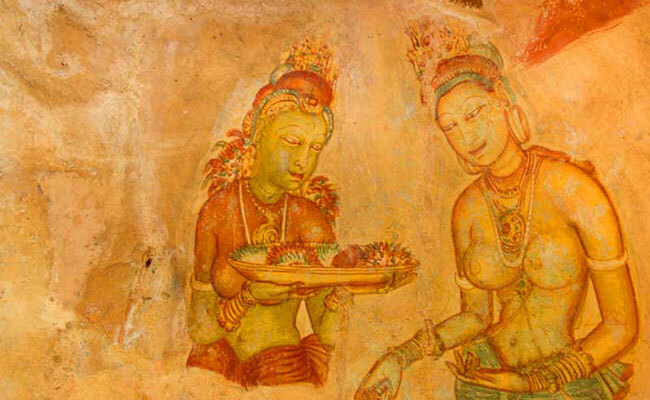 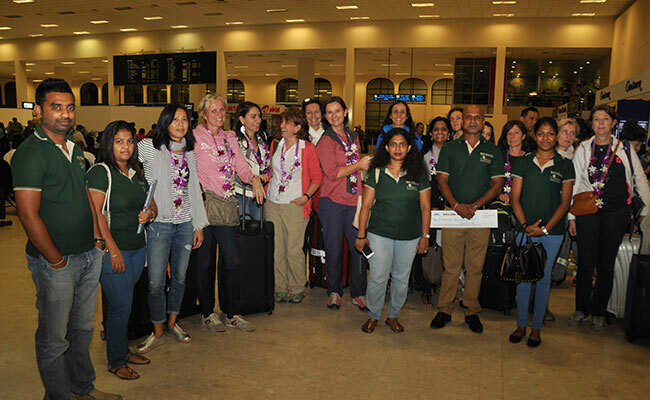 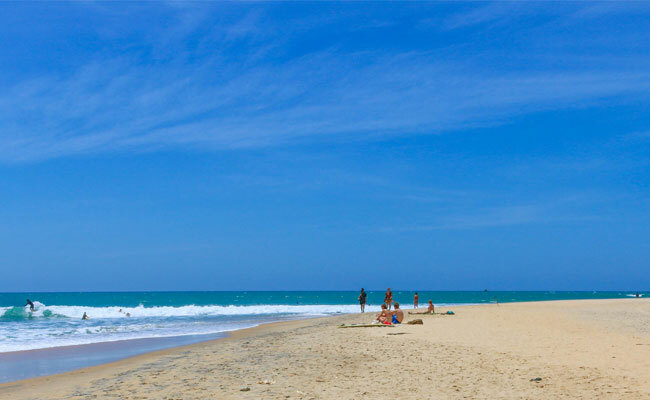 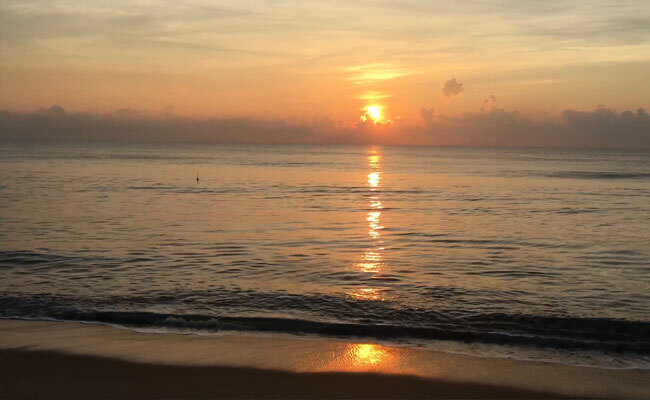 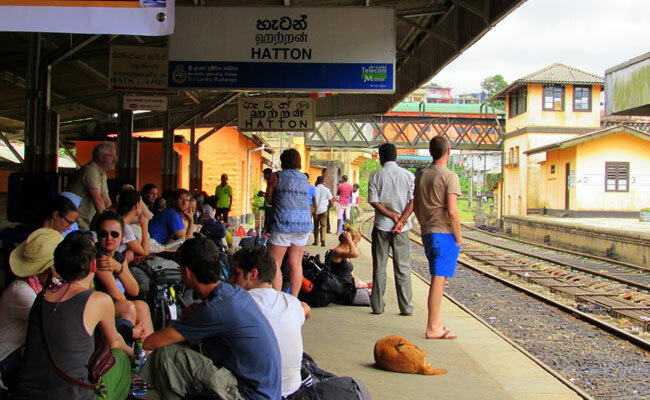 Transfer to Colombo – Approximately 4 to 5 hours drive.